Your data. Your innovation. Your future. Bring back insights to transform your business and change the way your world works. type for the date you've selected. Today’s data scientists use machine learning to predict trends, plan ahead of demand and events, and uncover patterns and behaviors. But they spend a significant amount of time on data engineering rather than actual data analysis, delaying the operationalization of machine-learning projects.Find out how you can solve this challenge and help your data scientists be more productive. 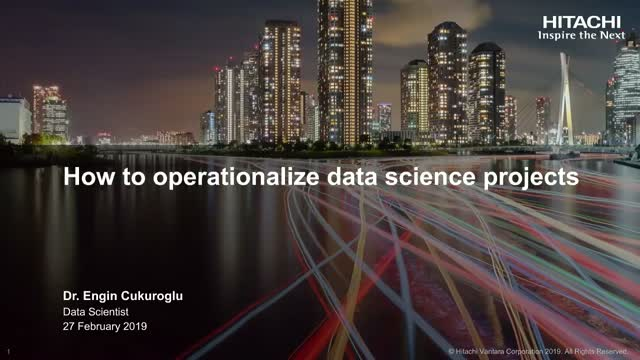 About our speaker:Dr. Engin Cukuroglu is a data scientist at Hitachi Vantara, Singapore. He received his BS in chemical and biological engineering and has a MS and a doctorate in computational science and engineering. His studies primarily focused on data analytics and big data in protein-protein interactions. After getting his degrees, he analyzed genomic data and developed pipelines for cancer and stem-cell research. His findings have been published in peer-reviewed journals. Dr. Cukuroglu is currently working with rail operators, mining companies, manufacturers, banks, fleet operators and delivery partners in Asia-Pacific to enable their machine-learning and predictive-analytics strategies. 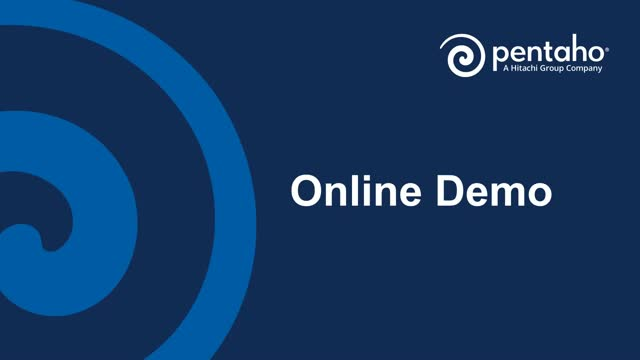 Please join us in a webinar focusing on setting-up Pentaho products for a quick and easy evaluation; production installation, configuration, and administration; and guidelines for upgrading to the current version of Pentaho.Along the way, we’ll explore the various components and technical requirements necessary to install and upgrade Pentaho. We’ll also share checklists and step-by-step instructions that can be part of your playbook to ensure a durable and repeatable upgrade/install process across your environments. 2018 was a year of maturity for digital transformation. Most companies committed to digital transformation, laid out a strategy and are planning resources. Public cloud, agile methods and DevOps, RESTful APIs, containers, analytics and machine learning are being adopted. 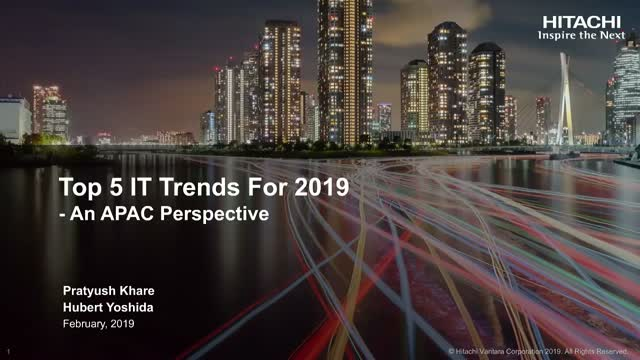 In this session, Hu Yoshida and Pratyush Khare will review the trends that they see for 2019 in APAC and the balanced approach to digital transformation as we learn from experience and resist chasing after the hype. They will discuss how this will affect data, AI, cloud, the data center and corporate responsibility. The transition from descriptive to predictive & prescriptive analytics is speeding up across digitally native industries, while more traditional industries are lagging behind. This transition often requires usage of machine learning techniques and a variety of data formats. Many companies find it difficult to complete. In this webinar, we review barriers for implementation, best practices, interesting use cases and success stories coming from steel and oil industries. Also, we will show how IoT data can be used to predict health problems of cows at farms. Moooving to cutting-edge analytics is possible for everyone! 2018 was a year of maturity for digital transformation. Most companies committed to digital transformation, laid out a strategy and are planning resources. Public cloud, agile methods and DevOps, RESTful APIs, containers, analytics and machine learning are being adopted. We’ll see a more balanced approach to digital transformation in 2019 as we learn from experience and resist chasing after the hype. 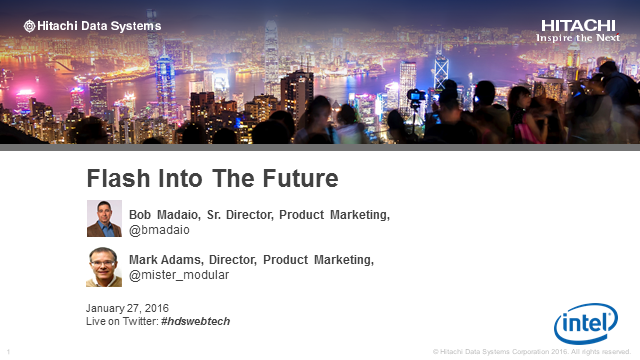 The data center is not going away, and we look to more hybrid approaches that maximize ROI. In this session, Hu Yoshida and Shawn Rosemarin will discuss how this will affect data, AI, cloud, the data center and corporate responsibility. They will express their own thoughts and should not be considered representative of Hitachi. 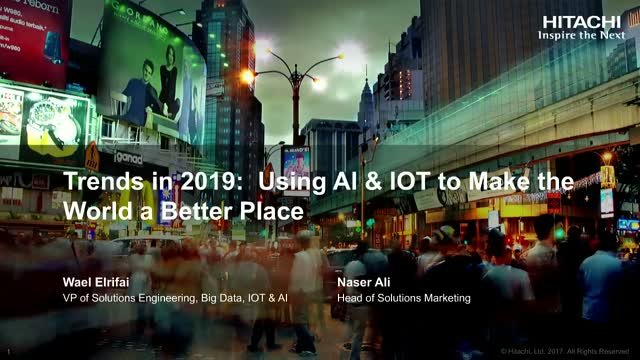 Wael Elrifai, co-author of the book, “The Future of IoT”, shares his experience of recent changes in IoT technology, new terminology, and the complex challenges of scaling from sensor technologies to whole smart cities. Wael also explains how his passion for sustainable development and innovation come together to achieve good. Building data science solutions for business does not solely rely on the intellectual capacity of data scientists. Besides leveraging their mathematical and analytical skills on models development, data science teams need to effectively address the hardship of: - working with big data sources and unstructured data, - spending too much time on data processing tasks,- deploying the final solution to production and automation. 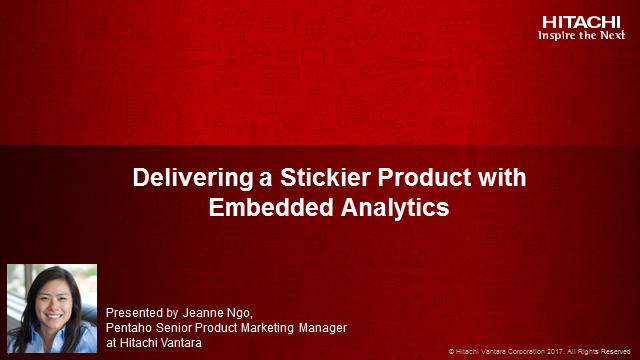 In this talk, we discuss the importance of tools for ETL/ELT and analytics orchestration for unleashing the full potential of data science teams. 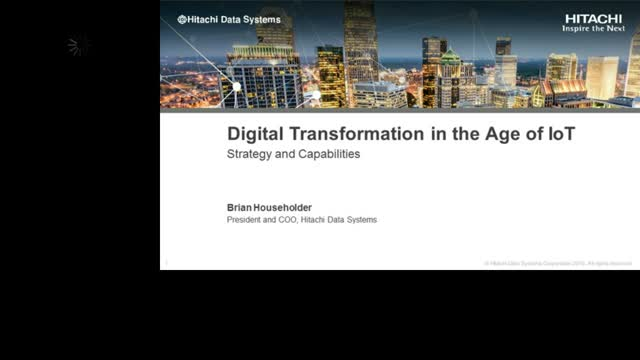 Hitachi Vantara ADVANTAGE 2017 Keynote by Brian Householder, COO and President, Hitachi VantaraBrian explains why we are swimming in data but struggling for information and insights. With less than 5% data is being analysed, we need to break down silos within an organisation to deliver outcomes that matter. 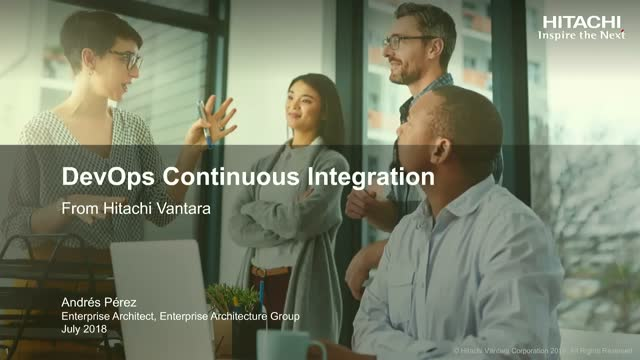 This webinar will be the first in a series focusing on DevOps and how it can help to create an environment in which builds, tests, and releases of software solutions can be done with more ease and reliability.Our presenter Andrés Pérez, who is an Enterprise Solutions Architect for Hitachi Vantara, will be covering:What is DevOps?- Lifecycle- Maturity & Phases- Challenges & GoalsFocus on Continuous Integration- Lifecycle Diagram- Solution Repository- Testing- Handling CIAlong the way we will also explore the various components and technical requirements necessary to install and upgrade the platform. Managing data is about more than managing capacity growth; organizations today need to adhere to increasingly strict data privacy, compliance and governance regulations. Privacy regulations like GDPR and California’s Consumer Privacy Act place new expectations on organizations that require them to not only protect data but also organize it so it can be found and deleted on request. Traditional backup and archive are ill-equipped to help organization adhere to these new regulations. 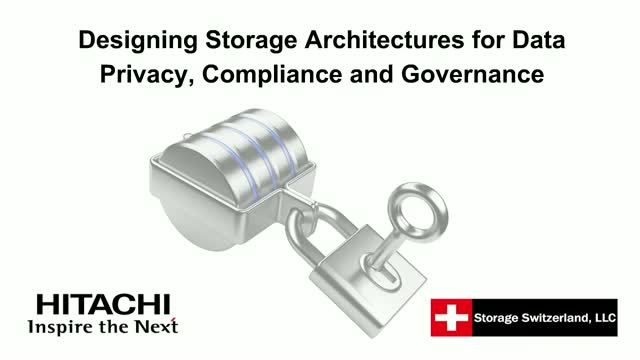 In this live webinar join Storage Switzerland and Hitachi Vantara for a roundtable discussion on the meaning of these various regulations, the impact of them on traditional storage infrastructures and how to design a storage architecture that can meet today’s regulations as well as tomorrows. IoT has the potential to change the competitive landscape and drive transformation that leads to new business models. However, much of the machine-generated data collected today is not fully exploited or even used. 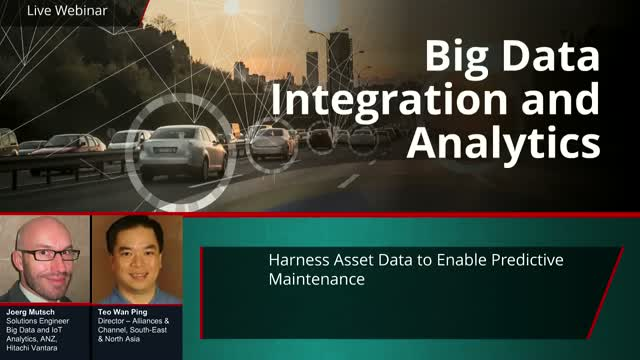 Watch this presentation to learn about marrying big data together with machine data to realize your full IoT potential. 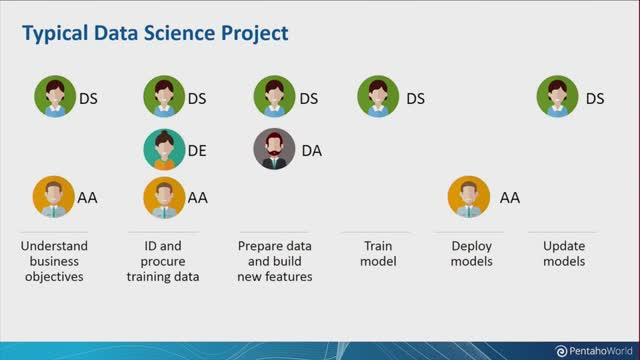 Watch this session to learn the basics of data science, including the data science process, how data scientists think and do their best work, and how to attract and retain data scientists. The session will also cover basic data science terminology, types of algorithms, and technologies for different use cases so you can work more productively with your data science teams. 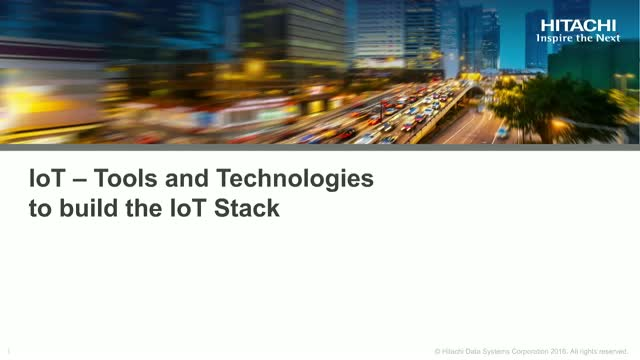 Watch this presentation to learn about the progression of the IoT market, highlighting the evolution from early closed-loop message response-based IoT-enabled products towards the establishment of the IoT-enabled enterprise. In particular, session will explore the role ofdata primacy and governance and strategies for effectively leveraging the utility value of IoT data as the key ingredient for maximum leverage and insight. 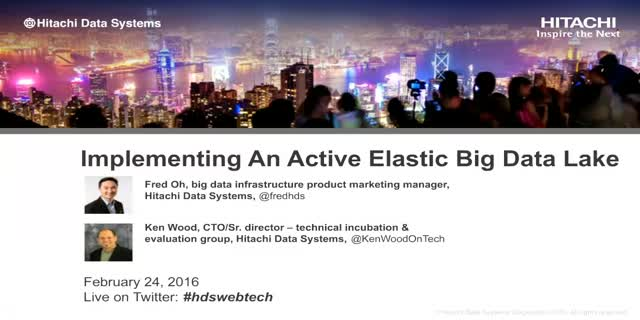 This presentation covers how data architecture modernization involves many emerging technologies. 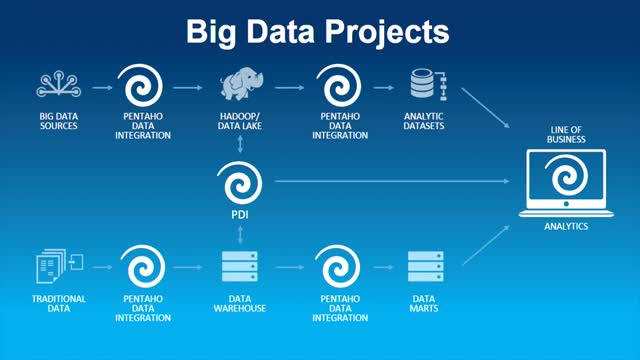 Understanding the ecosystem of big data technologies can help organizations improve data processing and performance. 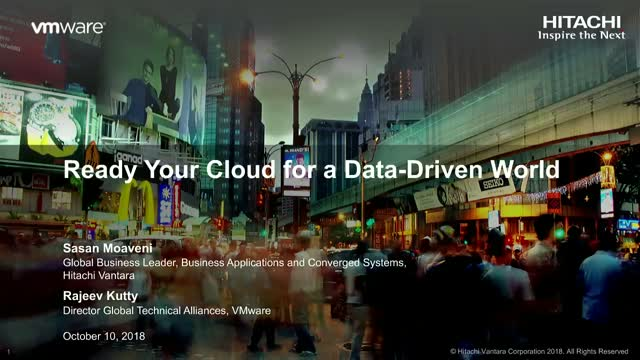 This session will cover various big data technologies as they pertain to data volume, variety, velocity, and latency. Data Explorer enables PDI users to visualize data at any point in their PDI pipelines to better spot inconsistent or missing data, making sure that the analytics they provide to analysts is right the first time around. We’ll walk through the basic features of Data Explorer, review its main use cases, and demonstrate how it can be used to both inspect data and rapidly publish prototype analytic sets for business users to consume in PUC without physically staging the data. 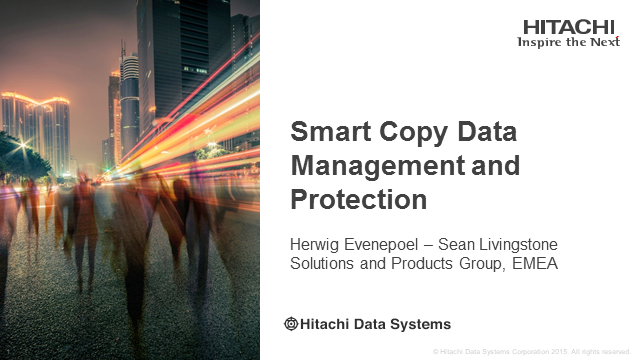 Copy Data Management promises to not only improve the data protection process, it promises to provide value to the organization even without a looming disaster. It can reduce storage costs by presenting virtual copies of data to test/dev, analytics and reporting. It also can make sure those copies are refreshed so those use cases are always dealing with the latest copy of data. 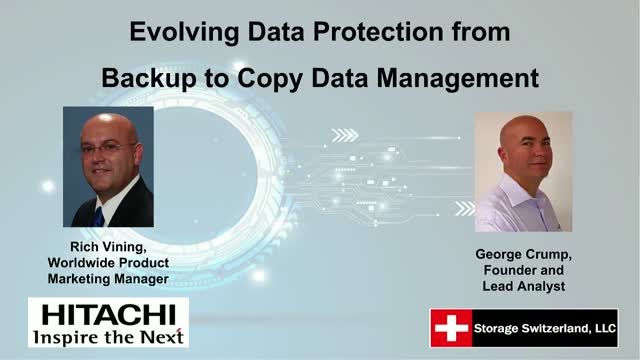 Join Storage Switzerland and Hitachi Vantara for our live panel discussion where we will show how copy data management better protects the organization and makes protection more than an insurance policy by adding value to the organization. 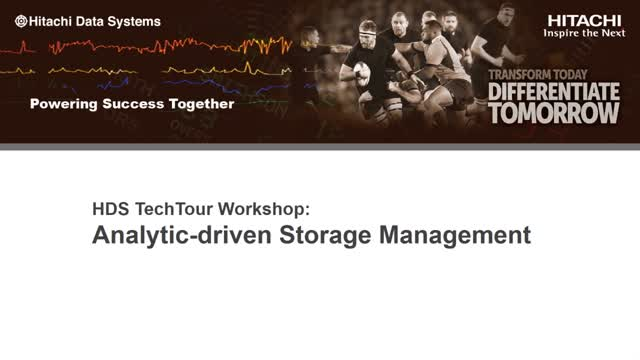 We’ll show how Copy Data Management can reduce the cost of storage throughout the data center while at the same time improving processes like test/dev, analytics and reporting. Finally we’ll also explain why copy data management solutions may actually be better at protection since they store data in its native form, enabling it to be recovered more quickly. 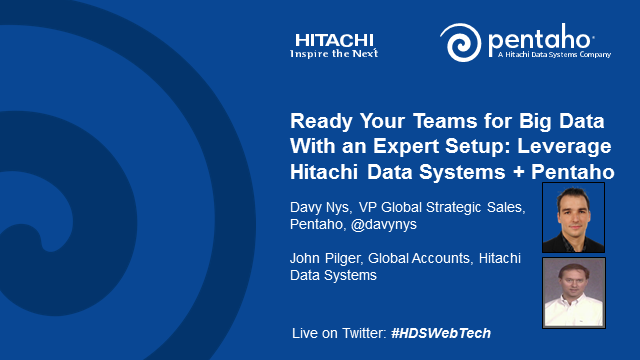 The webinar will also include a live demo of Hitachi’s Data Instance Director. See Copy Data Management in action! There’s a lot of hype around data-driven business. 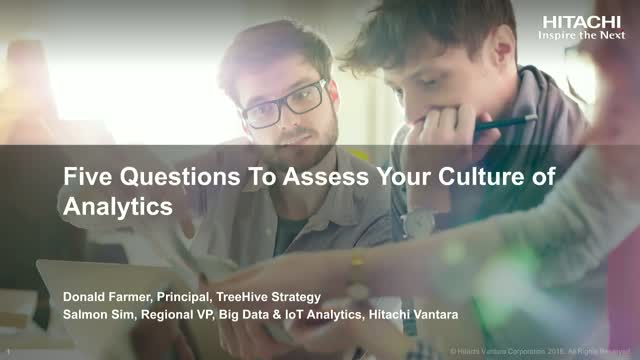 And as enterprises face the coming wave of Machine Learning and Artificial Intelligence, there’s also a lot of confusion about how to prepare your data, infrastructure and organization for this work.In this webinar, Donald Farmer of TreeHive Strategy, sets out 5 questions you can ask of your business to assess if you are making the most of your current analytics, and if your roadmap for the future will be effective. We’ll consider the tools you use, the skills you need in organization and the data pipeline you need to build for governance and flexibility.Donald’s approach covers both strategy - What do you need to achieve for your business? - and tactics - How will you achieve it? CIOs, IT managers and anyone working in analytics and data management will find it insightful and helpful. Every organization is coping with increasing amount of data and new expectations from customers. 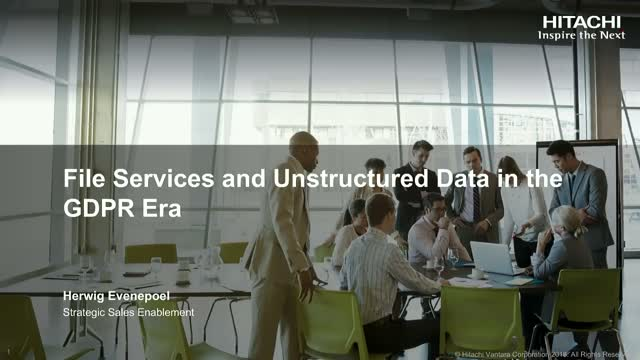 Do you feel threatened by the Digital Tsunami?In this video, Naveen Mishra, Gartner’s Research Director, is going to share with you how infrastructure, operations and data centers should respond to the challenges brought by digital disruption. Then KC Phua, Director, Technical Experts, Data Management & Protection from Hitachi Vantara, will talk about the technology behind data center modernization.As artificial intelligence and machine-learning technologies mature, enterprise storage vendors can empower customers on their journey to autonomous operations and harness the full potential of data. Together we can ride on the waves of digital transformation. Protecting data is key for any organization and increasingly critical for ever-growing compliance regulations. However, unstructured data is growing at an annual rate of +50%, and data protection is the most commonly identified primary storage challenge by far. The use of tape as a backup storage medium is no longer appropriate for many requirements, including GDPR. 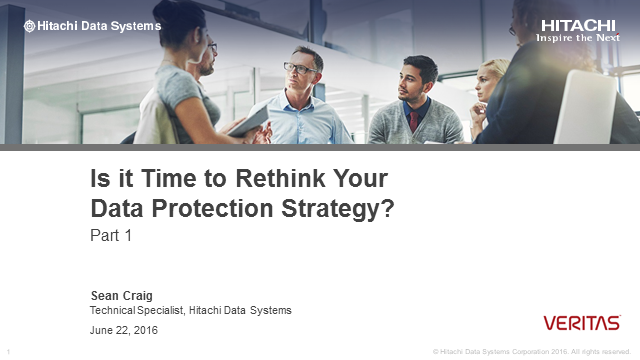 In this webinar, Rich Vining of Hitachi Vantara will discuss alternatives for effectively protecting data while also protecting the organization. • The industry trends on copy data management. • A new holistic approach to automating the creation, refresh, access controls and expiration of data copies. Today, organizations capture and retain more data than ever before, whether to maintain a history of transactional records, an audit trail of an interaction, or even for analysis to uncover more opportunities through technologies like Big Data. However, data also can represent one of the biggest threats a company needs to deal with, without proper management, security and discoverability, organizations may quickly find themselves impacted by government or industry-based data regulations. 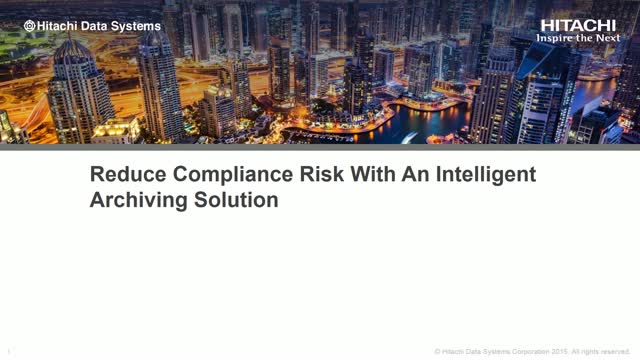 There are some customers who have managed to take control of this challenge, leveraging a combination of technology and process, they have been able to turn data in to the asset they had always planned it to be.Join Matthew Hardman, Director of Data Intelligence, as he shares how Hitachi is building a data services platform that can address your challenges and opportunities around data governance. While everyone agrees data is the new currency, it can quickly turn to an unforeseen liability if not managed well. 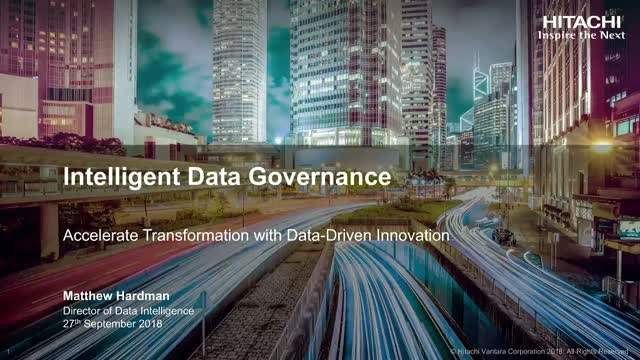 Complexity of data silos, intense pressure from digital disruptors, business reliance on reaping digital dividends, and increasingly rigid regulatory environment mandates a well governed data strategy.Today’s data governance frameworks leaves a lot to be desired. 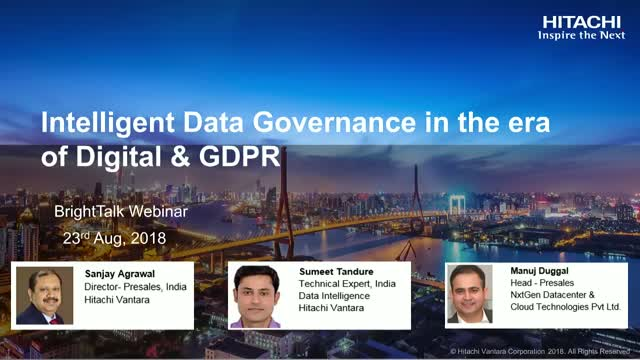 Intelligent Data Governance ensures that data management is automated as per appropriate organizational policies, business standards, and global regulations while allowing business to extract in-time insights for agile decision making.Join us to learn how can you tame the increasing amount of data diversity, meet with the emerging data privacy regulations & compliance standards, automate the key governance policies, and modernize data protection. 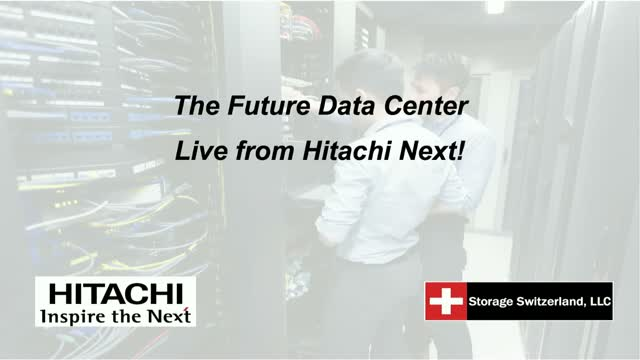 The Future Data Center - Live from Hitachi Next! 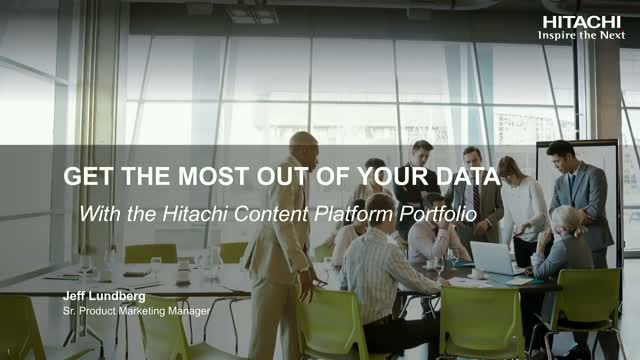 Hear What’s NEW with Hitachi Content Portfolio? 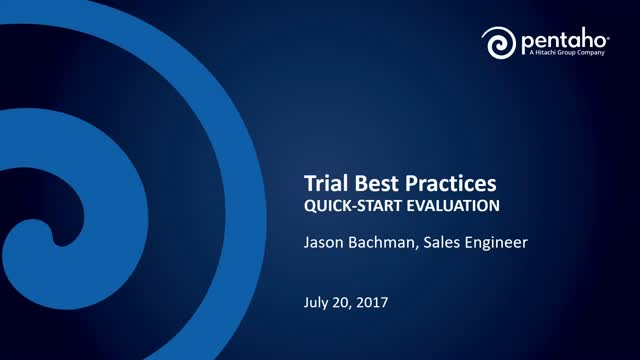 This webinar is part 2 out of our webinar series "Lead with Data". In this session we are going to demonstrate how HCP Anywhere can help re-define the way your users access, manage, maintain & collaborate with their documents. Want to simplify your data center’s complexity without creating management silos? Challenged with running IT on a limited budget? 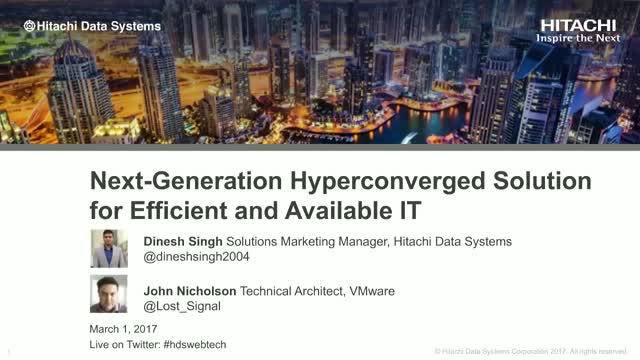 Get an overview of Hitachi’s next-generation hyperconverged solution, powered by VMware vSAN. Learn how this power couple introduces advanced automation and enterprise availability for core and edge applications. Join us for a live webcast on March 1, 2017. 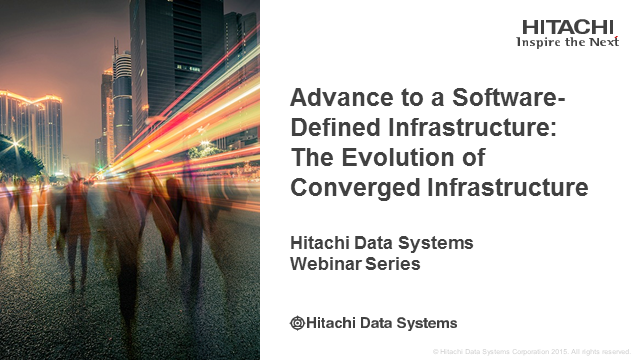 Hitachi Data Systems and VMware will discuss common challenges of legacy IT systems and how you can improve efficiency with a reliable hyperconverged solution. 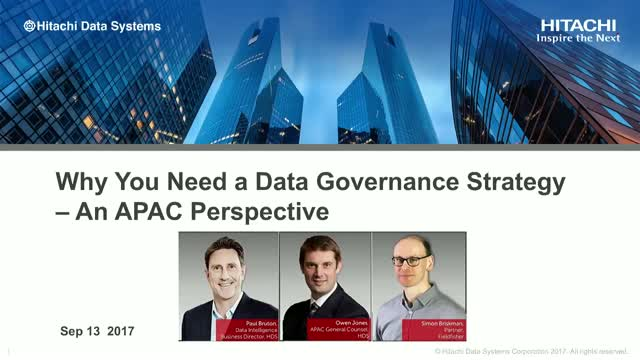 Paul Bruton discusses the move to a holistic approach to next gen data management. Looking at digital transformation strategies, he explains how Hitachi Vantara’s object storage can address common challenges - from cloud complexity to data governance and compliance - with its advanced custom metadata architecture to make data more intelligent. 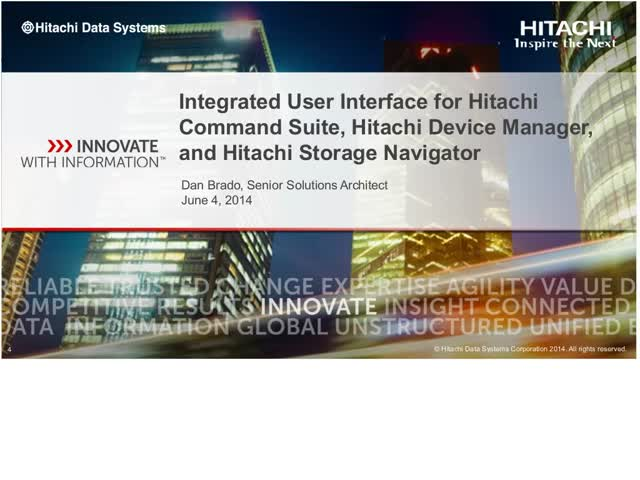 Jason Hardy speaks about the evolution of the Hitachi Content Platform. 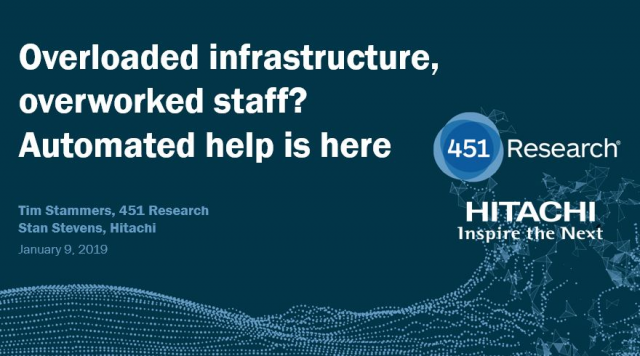 Focusing on the latest addition to the portfolio, Hitachi Content Intelligence (HCI), he explains how it delivers a superior enterprise search experience. Learn how HCI can process and discover information from multiple data streams and find meaningful correlations between that data to enable data-driven decision-making. Scott Nyman reflects on the long interesting road in object storage, from niche-oriented work in the 2000s to today’s digital enterprise where up to 95% of data is unstructured. 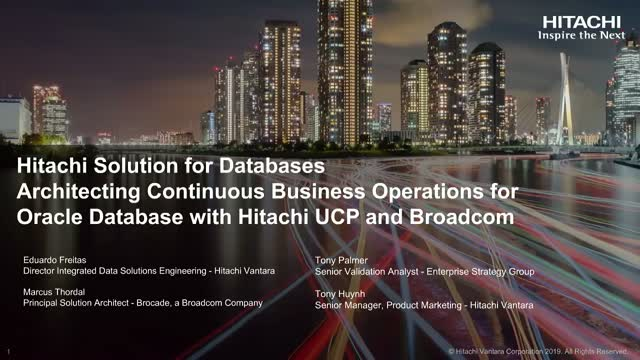 Learn what makes Hitachi Content Platform stand out, and how it addresses even the most complex business requirements. •Learn how to use automation, machine learning and artificial intelligence to manage complex data centers. •Find out how to use analytics to make data-driven decisions and be proactive for better business performance. •See a demo of data center analytics that provide actionable insights to improve performance, capacity, IT finances and service health. •Analyze data across your data center infrastructure to improve IT operational efficiency. •Automate management workflows to customize and deploy new application environments quickly. •Streamline operations to improve IT responsiveness. Transform your business with data center modernization. Learn how Hitachi Vantara’s robust set of systems, software and services are designed to help customers achieve desired business outcomes in the data center. 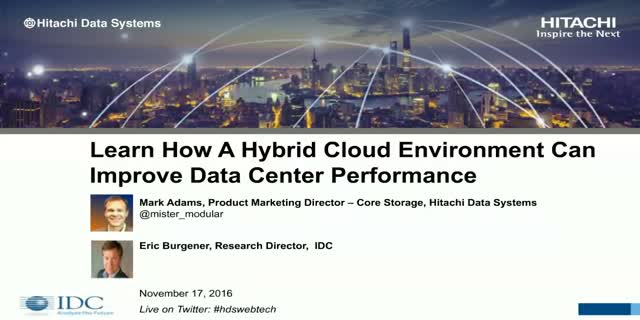 In this webinar, you’ll:- Learn how to reduce cost, maximize efficiencies and effectiveness across all data center operations.- See real-life examples of how Hitachi provides solutions to increase agility and improve customer experiences.- Discuss key elements needed to achieve a modern data center. Businesses in every sector need to build new revenue streams and create better customer experiences while reducing cost. Hitachi Vantara understands these critical priorities. 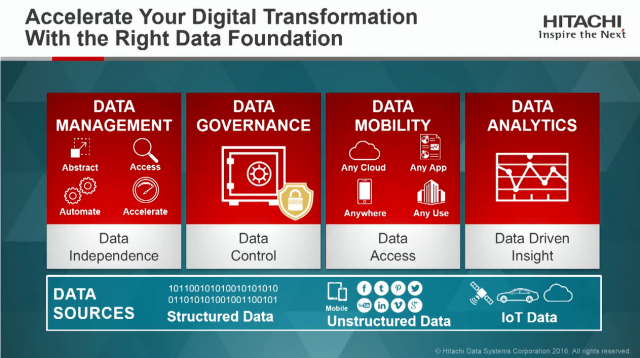 We’re helping customers discover, manage, analyze and mobilize the data they need to drive intelligent innovation and achieve better business outcomes.Following the launch of Hitachi Vantara last year, we’d like to take the time to help provide an overview of our vision and roadmap. 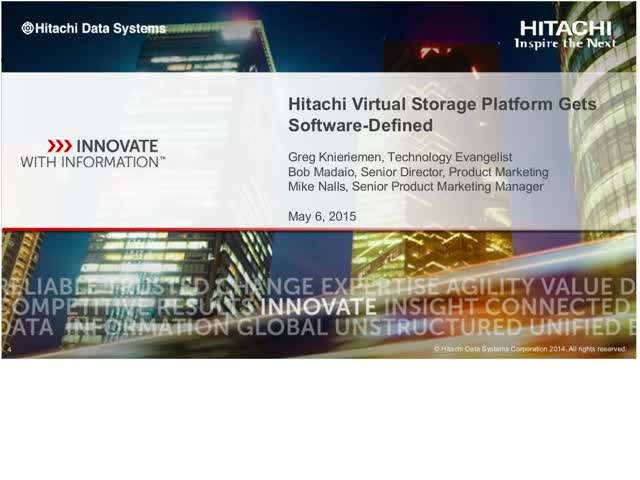 Data has defined the story of Hitachi Vantara. We exist to help enterprises create and derive value from their data. From the data center to powerful analytics engines and the internet of things, we work with customers to deliver better business outcomes, driven by data. We will talk through data center modernization, analytics and insights, and the possibilities unleashed by artificial intelligence and machine learning. But most of all, we will review a shared vision: a new chapter in the story of success we have written together. It’s a story written in data, your most precious asset. Together, we can turn your data into a perpetual source of growing value, driving growth, transformation, and innovation.Data is Your Story. Because it’s our story too. Fintech made significant headway in 2017 and will continue to re-shape the financial services industry (FSI) this year. For example, fintech developments involving big data, artificial intelligence (AI) and smart branches will play an important role in enhancing customer-centricity by enabling FSIs provide personalized and frictionless service. 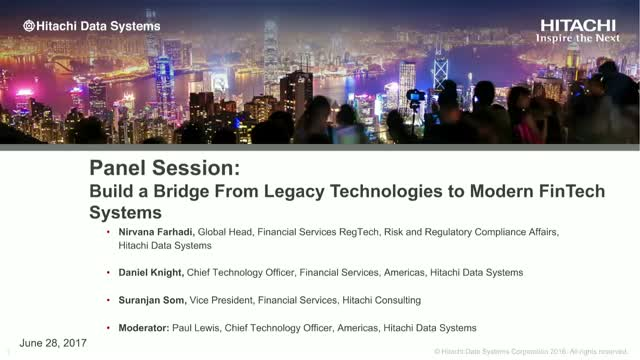 Many of these technologies will also come into play in regulatory reporting, data governance, data protection and cybersecurity, which are also important priorities for FSI companies.Join us in a live BrightTalk webinar as we discuss how FSI companies can take a pragmatic approach to Fintech. 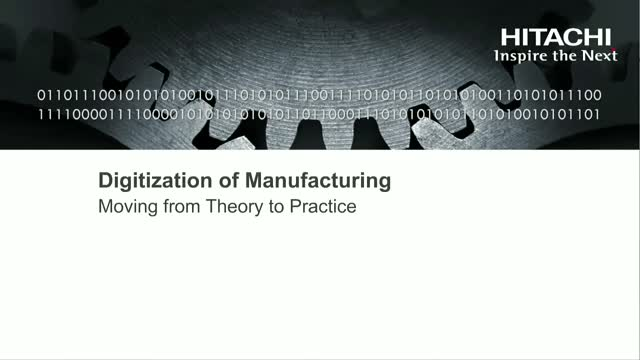 •Key trends, challenges and opportunities in the manufacturing industry based on PAC research. 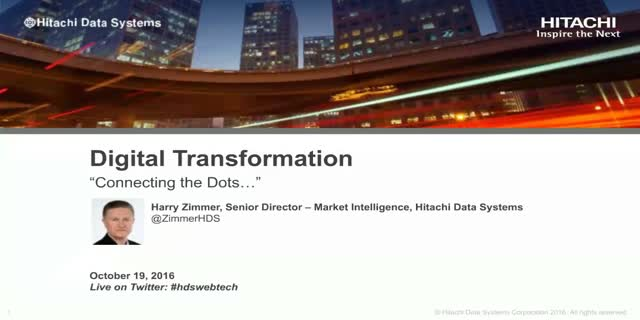 •How Hitachi addresses digital transformation with machine learning and advanced analytics. •Top use cases from global manufacturers who see strong outcomes and high return on investment with IoT. •How video and other IoT data can help your business become smarter, safer and more efficient. •How to harness IoT data to gain operational intelligence and achieve better business outcomes. 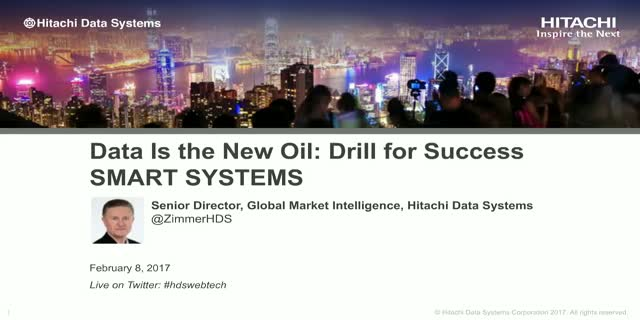 •How Hitachi’s customers are innovating with IoT to excel. •Which practical applications and best practices will get you started on your own IoT journey to reach your goals and tackle your challenges. 2017 was a watershed year for digital transformation. Though there were no major technology breakthroughs, we began to change the way we use technology. Cloud adoption increased and more applications were developed for the cloud. Corporate leadership showed deeper commitment to digital transformation, and productivity seemed to be on an upturn. 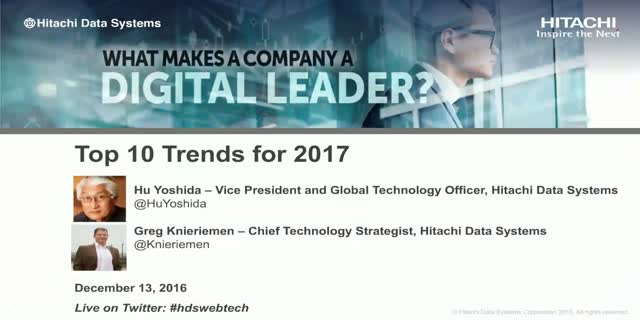 In the top IT trends for 2018, Hu Yoshida focuses on the operational changes that affect IT instead of the changes in technologies. 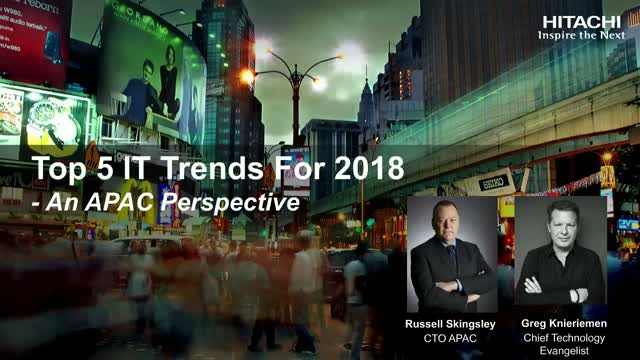 During this webinar, Greg Knieriemen and Paul Lewis will discuss Hu’s viewpoints and walk though their interpretations of IT trends to come in 2018. People counting, traffic analysis, data integration, driverless cars – these transformative internet-of-things (IoT) projects push Las Vegas to be a safer, healthier and smarter city.Join us on Nov. 15 to hear firsthand how Michael Sherwood, director of technology innovation for the City of Las Vegas, has helped the city create a program of innovation that benefits residents, visitors, local businesses and internal operations to make Las Vegas a smart city. You’ll hear examples of new technology being tested or proposed in the city’s innovation district so that the right technologies can be scaled out to the rest of the city. You’ll also hear how Sherwood has created a program that allows the types of rapid innovation that will help Las Vegas adapt to a changing world and help the community thrive. •Extending a bridge from legacy technologies to modern FinTech systems. •Building flexible, adaptable solutions that bring speed and accuracy to regulatory compliance. •Leveraging “mandated” investments in compliance to create new business opportunities throughout your enterprise. •Blending banks’ vast amounts of customer data with newer, unstructured data streams to completely redefine the customer experience. •Implementing an overall platform approach to data management that eliminates silos, while protecting existing infrastructure investments. As part of digital transformation initiatives, organisations have recognized the need to transform how their employees work. Today’s employees demand a digital, collaborative, dynamic and mobile work environment. They want fast access to their data, on any device they choose and anywhere they happen to be working. IT should not only ensure proper compliance, governance, security and availability of user data. IT should become the enabler of search and analytics capabilities to understand data, to automate actions based on the data, and to uncover new business opportunities and insights. Organizations must now pay extraordinary attention to data protection. However, it is no longer limited to archiving. It now needs to be an active, open and automated data management platform where data of all kinds are readily accessible and properly protected. 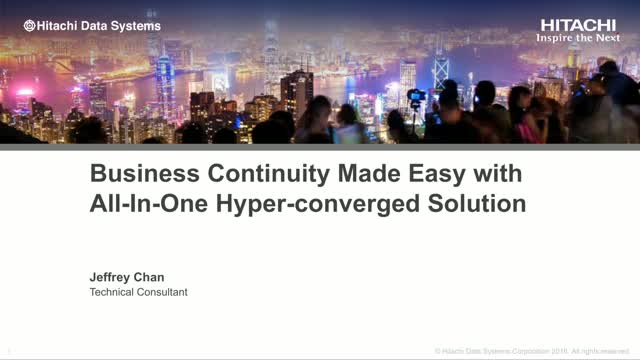 Watch the video to understand how Hitachi Content Platform (HCP) and Symantec Enterprise Vault (EV) integrated solution give a helping hand. •How big data affects your organizational chart. •An easier way to understand big data and related areas of analysis. •A blueprint or model that is effective to use for your company. •Key business questions for 2017. A recent Forbes survey shows that Digital Transformation will be the highest priority for both IT and line-of-business executives in 2017. Business outcomes will drive IT, and IT will shift its focus from infrastructure to application development and analytics. Some of the major trends for 2017 will redefine the data center and focus on a number of key technologies that will enable the transition from legacy systems to systems of innovation. Operational Technology (OT) from sensors will begin to integrate with IT, and the foundation will be established for Internet of Things (IoT) developments that are currently in the proof-of-concept stage. 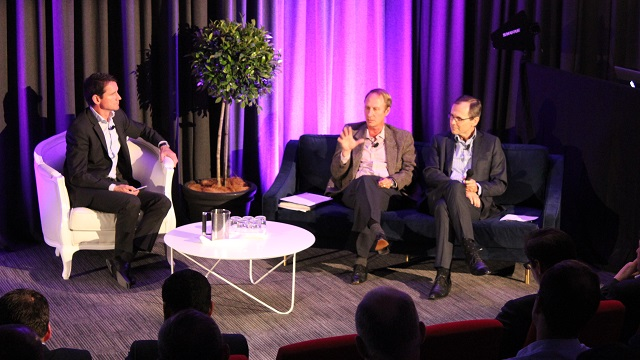 Businesses have to transform to keep ahead of competition and digital disruptors. It’s important for organizations to leverage data and technology for automating operations and processes, increase customer loyalty, attract new markets and grow revenue streams. Real time personalized customer services are dependent on constant analysis of vast amounts of data. This requires a robust, highly available IT infrastructure powered by purpose built Flash that provides speed, efficiency and agility to better serve customers while handling exponential data growth.While flash data reduction capabilities viz. compression and deduplication bring huge savings in terms of capacity, power and cooling it is important to understand that not all Flash technologies are same.HDS’ new systems with SVOS 7 software offerings include efficiencies that reduce storage needs by 5:1, intelligent flash-aware IO stack with predictable, low latency performance and guaranteed data availability to deliver new business models faster and more efficiently. •Increases business productivity with improved application performance, reduced provision time and faster time to market. •Improves risk mitigation and user productivity with a high level of resiliency, performance and efficiency. •Boosts IT staff productivity with decreased IT time to set up new infrastructure and launch new applications. •Reduces IT infrastructure costs for the provision and deployment of compute, storage and networking resources. •What is digital transformation and what impact will it have on you and your company? •What does a successful digital transformation project look like? 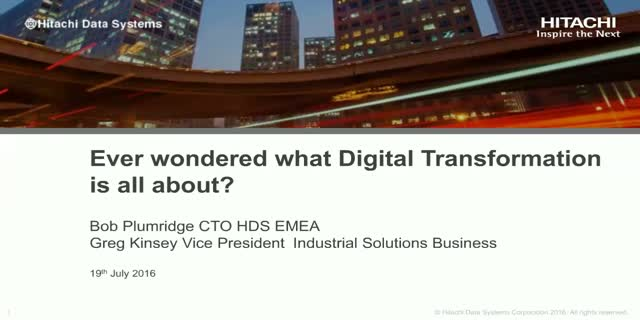 •Does digital transformation link to big data and IoT initiatives? How Safe is the Public Cloud? •The value of stolen data. 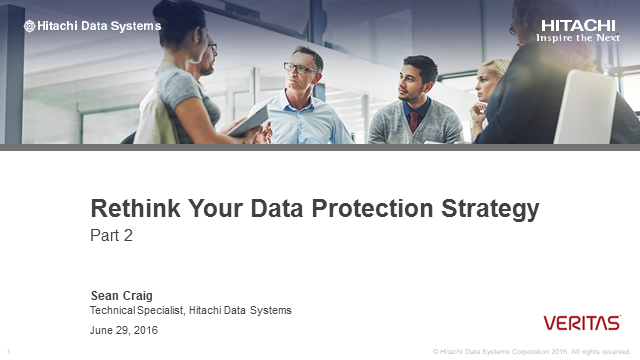 •Best practices to protect your data. •IT cost and efficiency models, from in-house to Converged Infrastructures. •A true picture of your current storage and related IT costs, along with accurate future projections. •A clear path to manage storage and IT costs more effectively, while still meeting increasing demands. •Why mobility is the new normal. 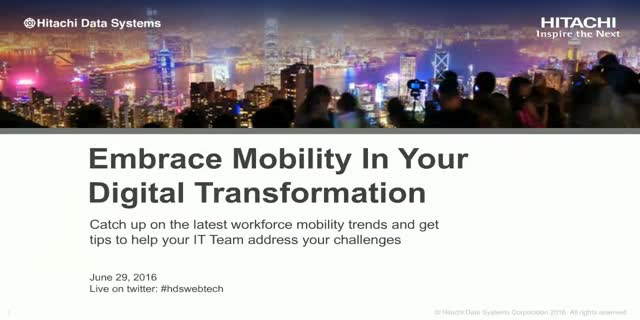 •What the latest workforce mobility trends mean for your organization. •How to manage the infrastructure impact and risks associated with BYOD data growth. •What the vendor and analyst communities are saying. •If there is a practical or simple definition that you can use. 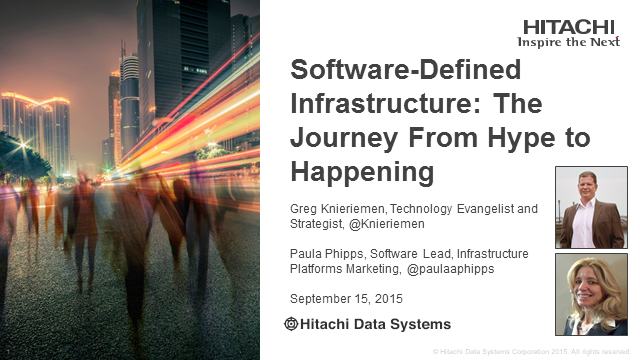 •Whether you should have a software-defined strategy or plan. 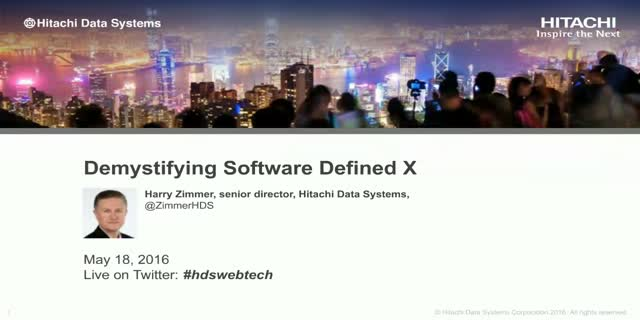 •If Software-Defined X is a movement for software systems to control hardware systems. •Gain a better understanding of current market trends. •Maximize your ROI with a strategic flash deployment. •Learn why customers choose FC for their flash environments. A large number of high-tech companies have enjoyed tremendous initial success, only to see their primacy wane as markets, economies and technologies evolve in what seems a blink of the eye. The current industry restructuring is raising many questions related to how IT will continue to change. Will IT as a Service (ITaaS) emerge? How will storage be impacted ted? In the future, what role will cloud and managed services play in business? As the prevailing IT environment transitions from stability, accuracy and predictability to speed and agility, we can expect to see new metrics of success and failure emerge, marked by an emphasis on speed, agility, time-to-business value, efficiency and total cost to operate. Forward-thinking and outcome-based strategies will prove to be vital in the data-driven, ever-changing culture of modern IT. Join us for a live webcast on March 23, 2016, to hear from an industry expert about the changes that are happening in our IT world today and tomorrow . Customers need a modern architecture that supports a blended data lake. Implementation of the right data lake prepares you for future needs and the support of Internet of Things (IoT). An ideal data lake is elastic and active with applications that automatically run where the data is physically located. A scale-out distributed file system allows it to be elastic, while a hyper-converged appliance makes it active. Join us for a live webcast on February 24, 2016, to understand how to build a better data lake with a hyper-converged solution. There is a rapid expansion of flash storage deployment in data centers. To become more agile for real-time business, IT organizations have modernized their core infrastructure through software-defined and flash technologies. 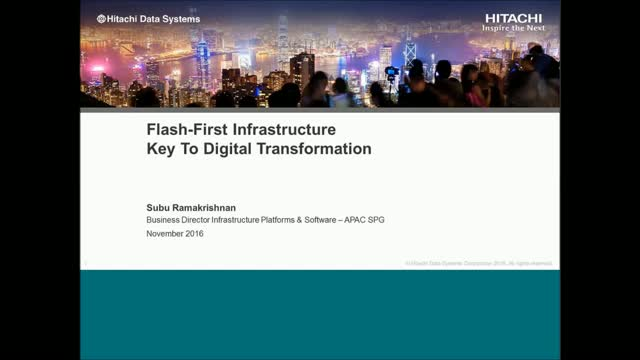 Success in an all-flash future requires more than tactical solutions and more than one flash solution to address all workloads. Join us for a live webcast on January 27, 2016, to understand how flash technologies aren’t all the same and how the Hitachi flash portfolio, powered by Intel®, can help you to successfully Flash Into the Future. 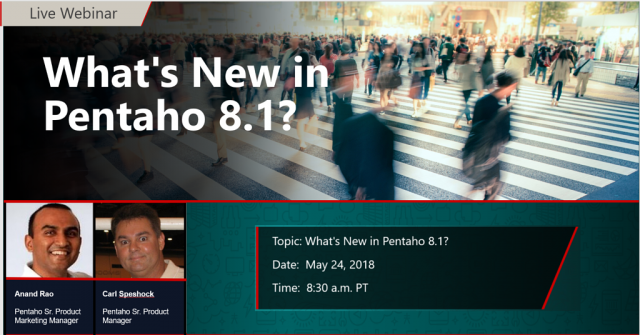 What's New in Pentaho 8.1? • Get better platform performance and increase user productivity with improved logging, additional lineage information, and faster repository access. We will also be showing a live demo of our multi-cloud and streaming data source support as well as other 8.1 features. •Learn how to reduce cost, maximize efficiencies and effectiveness across all data center operations. 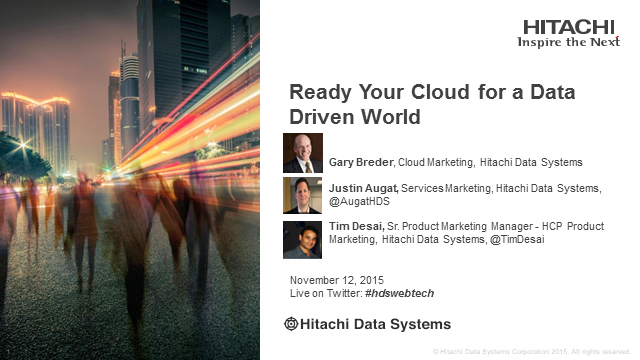 •See real-life examples of how Hitachi provides solutions to increase agility and improve customer experiences. •Discuss key elements needed to achieve a modern data center. 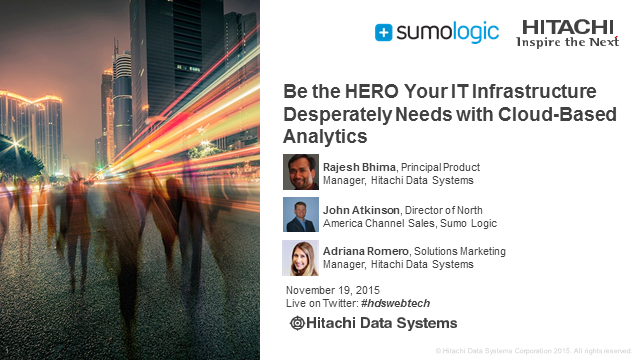 This webinar is part of our webinar series "Lead with Data". 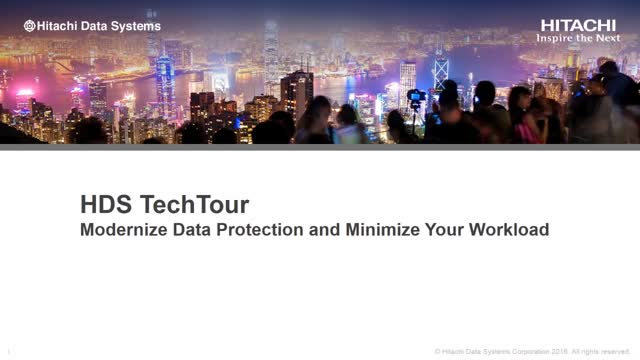 In this session we are going to show you, how to stay in control of your data while minimising costs and risks. This webinar is part of our webinar series "Lead with Data". 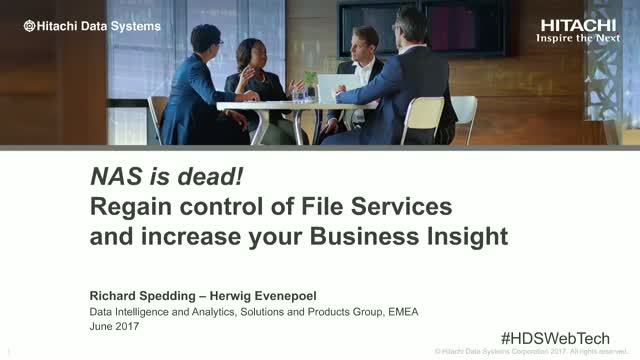 In this session we are going to show you, how to better manage, use and govern data. Why Are Companies Deleting Data in Advance of GDPR? Gary LaFever – Co-Founder & CEO, Anonos & Nirvana Farhadi, Global Head Financial Services, RegTech, Risk & Regulatory Compl. 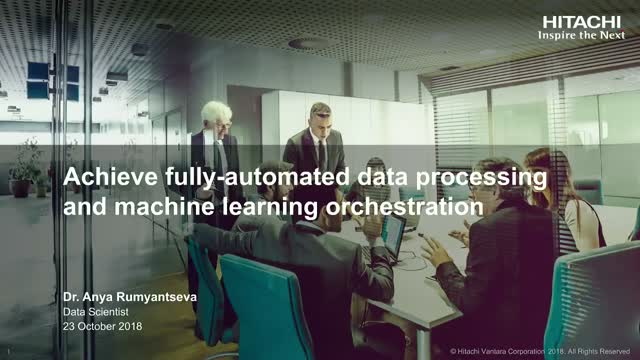 Hitachi Vantara is focused on enabling organizations to unlock the full value of data by leveraging dynamic pseudonymisation to enable data analytics, artificial intelligence, machine learning, and digital transformation. The GDPR imposes lesser obligations and liabilities when technical and organizational measures are put into place as safeguards to protect the fundamental rights of data subject. 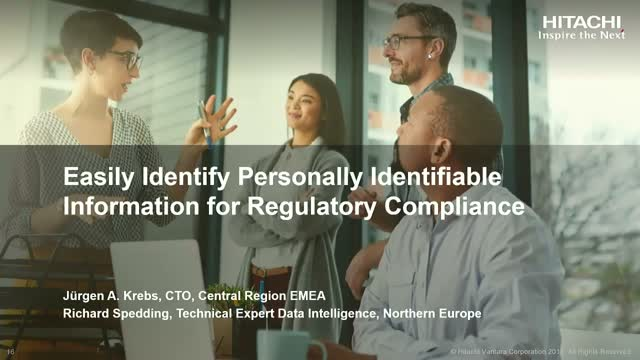 You can achieve many business objectives associated with data analytics, artificial intelligence, machine learning, and digital transformation by separating the information value of data – on the one hand – from the risk of re-identification – on the other hand, by leveraging GDPR compliant pseudonymisation. •Real-World success stories & More! Is your business at risk of toxic data? Effective on 22nd February, the Notifiable Data Breaches (NDB) scheme under the Privacy Act establishes new requirements for entities in responding to data breaches. 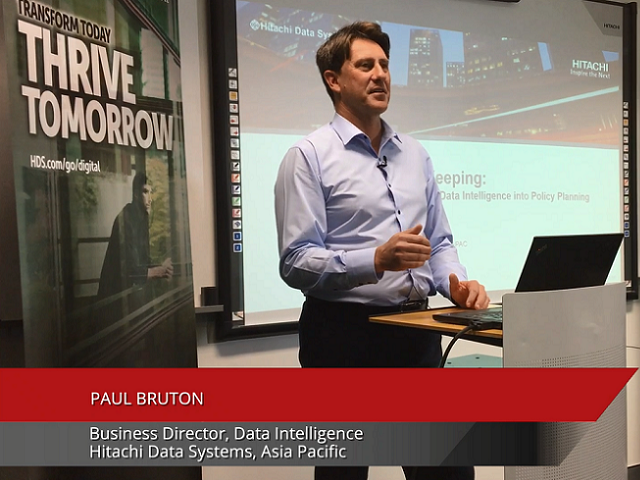 Paul Bruton, director, Data Intelligence at Hitachi Vantara, Asia Pacific, explains what these changes mean for businesses and their data strategy, also in the context of the General Data Protection Regulation (GDPR). It is easy to talk about the "Data Lake” as the answer to all data storage problems. However, not all Data Lakes are the same, and it is important to choose the right architecture for your data and use cases.In this webinar, we will explore different Data Lake architectures - logical, storage, analytical etc. - from the point of view of the big data architect and user. We’ll understand the benefits of each, with examples drawn from the real-world experience of Hitachi Vantara in industries like manufacturing and finance.Attendees will learn not only how to choose the model that works best for them, but will also come away with a sound understanding of the potential for analytics and intelligent applications built on their Data Lake architecture. •Capitalize on data for new opportunities. 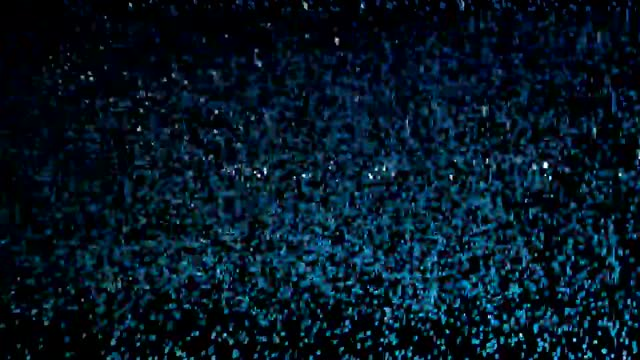 •Balance bimodal realities with hyperscale digital demands. •Deliver on SLA, RPO, RTO and ROI goals. •Protect all of the data all of the time. 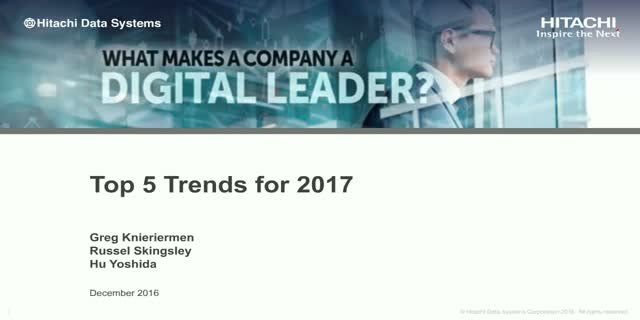 2017 has been a watershed year in terms of digital transformation. It isn’t a year for major technology breakthroughs, but a year in which we have begun to change the way we use technology. Cloud adoption has taken off and more applications are being developed for the cloud. Corporate leadership is more committed than ever to digital transformation projects and early indications are that we have stopped the decline in productivity and are on an upturn. 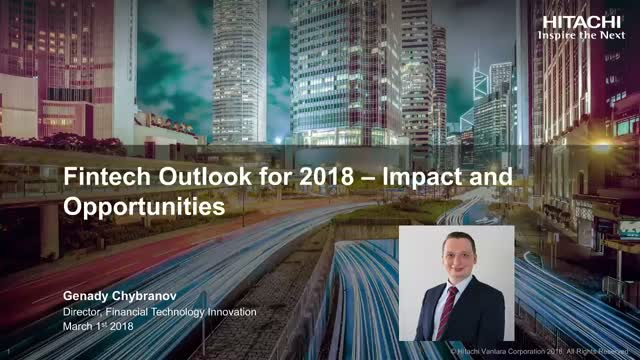 What’s next and what are the trends to watch out for in 2018? With over nine million electricity consumers connected to nine distribution companies, CPFL decided to convert to a Hitachi smart grid universe. With automation spread across their networks, they needed to speed up their mission-critical database to keep up with the enormity of their technical and business challenges. Hitachi helped them assure high quality services and safety for their customers. 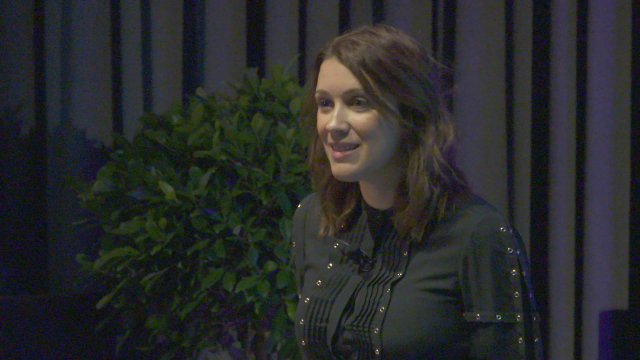 Hitachi Vantara ADVANTAGE 2017 Keynote by Ana Marinkovic, Head of Transformation – Delivery & Change Management, New Ways of Working, ANZ BankAna shares her insights into the new ways of working at ANZ, designed to build agility into organisational cultural and structural foundations and overcome challenges in delivering an Agile growth mindset. 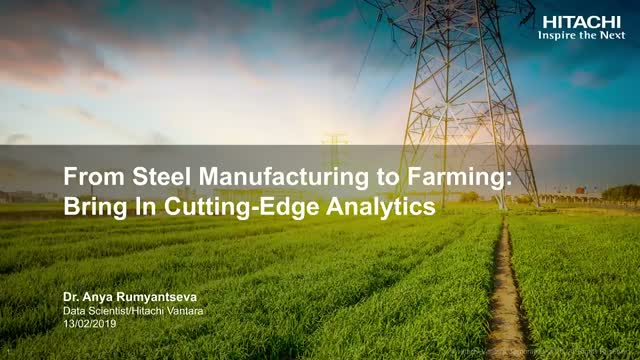 Hitachi Vantara ADVANTAGE 2017.Ian Callahan, COO of Curtin University and Dr Nigel Tomkins, Research Scientist, Meat and Livestock Australia (MLA) share their experiences and learnings from the pioneering IoT projects. 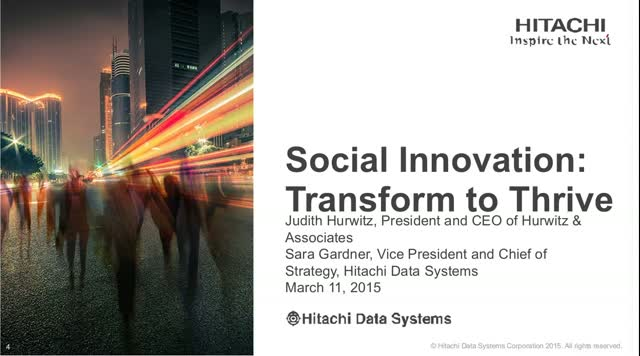 They also talk about the value of co-creating solutions with Hitachi. 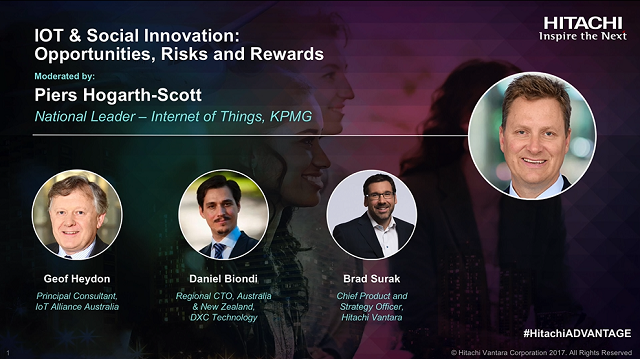 Hitachi Vantara ADVANTAGE 2017.Australia’s IoT leaders Piers Hogarth-Scott (KPMG), Geof Heydon (IoTAA) and Daniel Biondi (DXC Technology) join forces with Hitachi Vantara’s new Chief Product and Strategy Officer, Brad Surak, to discuss the opportunity and challenges for IoT driven innovation. Meat & Livestock Australia Optimizes Live Stock Production with Data! How do you optimize livestock production? With data. Through MLA investment, Hitachi's sensor-driven data collection and analytics helps the red meat industry identify best practices for animal tracing, supply chain efficiency, and on-farm operations. 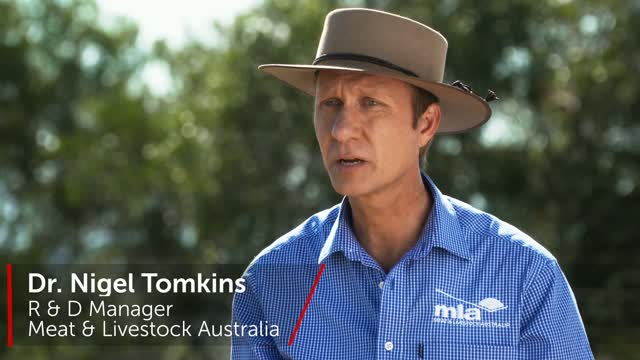 By automating data analytics and driving IoT- led decision making, MLA is helping foster the productivity and profitability of the Australian red meat and livestock industry. Transforming into the fourth-largest toy manufacturer and children's entertainment powerhouse is not child's play. 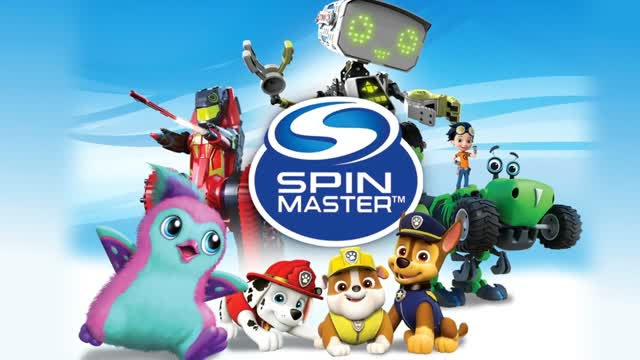 Spin Master has adapted to strategically support innovation, acquisitions, new brands, and continued business expansion. 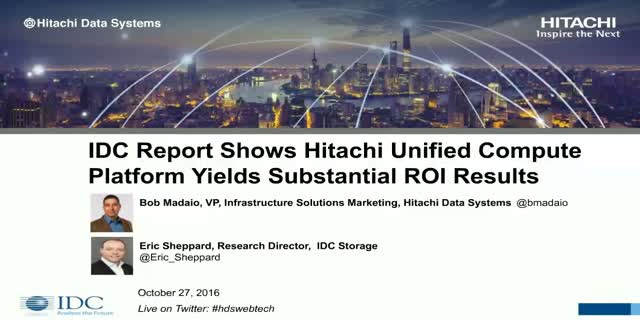 With Hitachi's assistance, they reduced SAP processing time, created significant savings, and gained a 360-degree view of their customers. Now they're pushing the boundaries of innovation, creativity and fun further and faster. 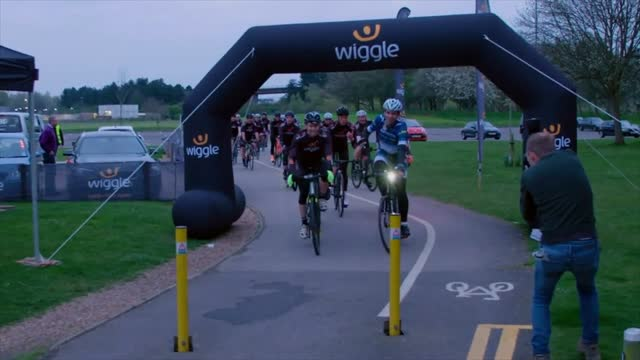 Wiggle, the leading e-commerce sports retailer, knew their inefficient processes and a range of custom systems could not support their ambitious growth plans. 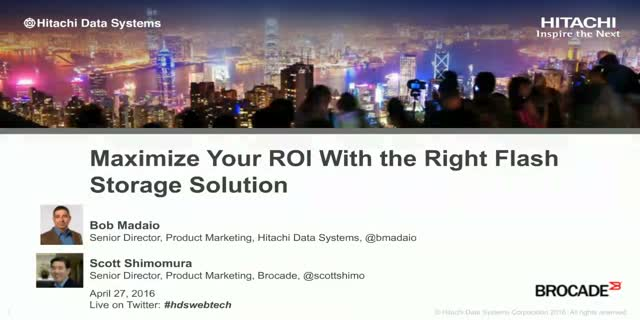 Working with Hitachi, they developed a cloud-based, sophisticated retail platform to standardize operations and support their global strategy. Staying customer-centric, with a single customer view, better process efficiencies and soaring customer satisfaction, they leave others trailing behind. • Lessons learned and recommendationsGreg Kinsey is Vice President of Digital Industrial Solutions at Hitachi, leading the global strategy and the EMEA solutions business. He has over 30 years of international experience in manufacturing, technology, and consulting, and is recognized as a leading expert in the field of digital transformation. 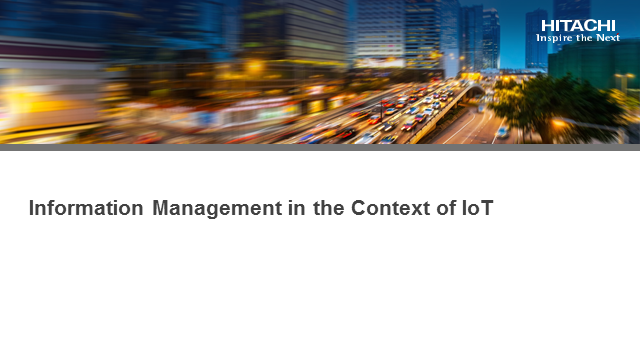 In this seminar, we will discuss the critical factors to make an IoT project successful. We will talk about parameters and goals, business cases and how to meet timelines, stay within budgets and deliver value to the business stakeholders.Stay tuned to more webinars in our series "The Hitchhikers Guide to IoT"! To realize IoT projects successfully, it is necessary to select the right tools and technologies. Designs should be made with the end-configuration in mind. 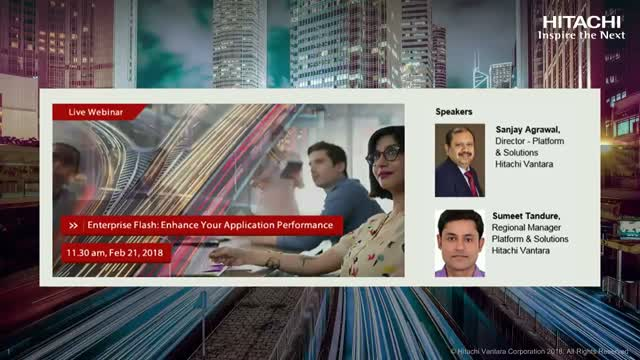 Which tools and applications can be used to build the applications/analytics stack and how to make the environment scalable enough for the final configuration.In this webinar your will learn:- How to understand the challenges and how to decide on tools to build the whole stack, not just one point solution.- How to select tools and make sure the solution can be operated and supported.- How to make decisions around public, hybrid or private cloud deployment.Stay tuned to more webinars in our series "The Hitchhikers Guide to IoT"! IoT, Big Data & Moving from Data to Knowledge. This presentation will explore data gathering techniques, tools and analysis processes in the business innovation process. 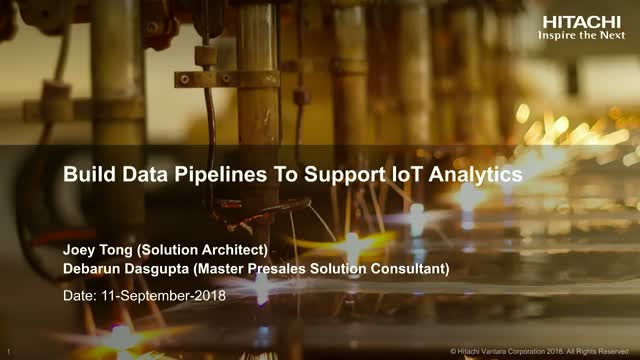 By way of example, the presentation will outline the stages of planning, designing, and delivering behind one of today’s most popular business innovation use cases for IoT – a predictive maintenance system. It will also reveal the different areas in which businesses gain value (and cost savings) by automating the processes of data engineering and data discovery. IoT is everywhere, but DON’T PANIC. 6 Considerations to make them successful. 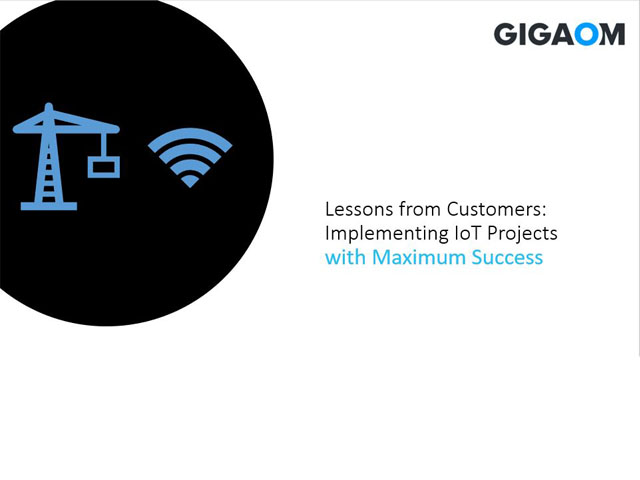 During this webinar we will discuss the top challenges for IoT projects, why many of these are not successful and considerations to turn them around. 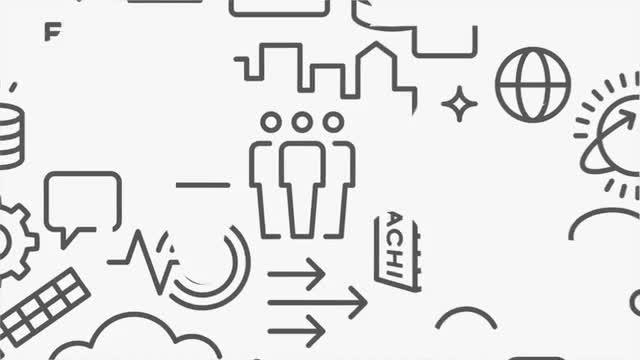 We will be using real life scenarios to discuss the challenges and demonstrate how customers solved these resulting in success.-Pre-Requisites, organizational and legal challenges-Setting achievable goals-Selecting relevant data sources-Selecting and building the Eco-System-Integrating data sources-From Prototype to productionStay tuned to more webinars in our series "The Hitchhikers Guide to IoT"! Digital Enterprises, System Integrators and Cloud Service Providers require diverse hybrid cloud solutions in order to provide the right services for their complex mix of traditional and cloud-ready applications. That is why we have built solutions that allow you to consume services from multiple hypervisors, containers, bare metal and legacy systems within a single cloud platform. Join this session to learn about the diverse range of approaches available within the Microsoft ecosystem to deliver the Programmable Data Center for the Digital Enterprise. Ever wondered what Digital Transformation is all about? 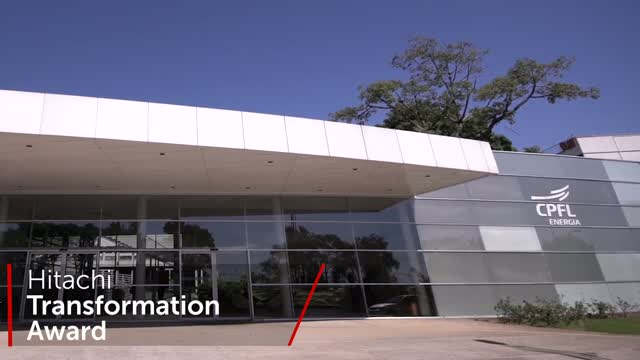 What is Digital Transformation? Why is it important? What does it mean for you? Your business? Your future?Bob Plumridge is the Chief Technology Officer for Hitachi Data Systems in Europe Middle East & Africa. In this role Bob is responsible for aligning technology vision with business strategy and evangelising this vision to the press, analysts, existing and potential customers.Greg Kinsey heads the Industrial IoT business at Hitachi Insight Group, with overall responsibility for strategy, innovation, product portfolio, and business P&L for digital transformation solutions in the manufacturing industry. Organisations have a problem – in a world of exponential data growth, we need to save everything, yet only operationalise a tiny fraction of that information. 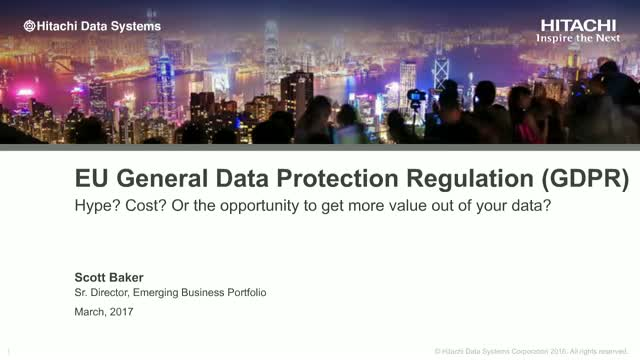 Join Paul Bruton, Business Director, Object Storage Solutions for Asia Pacific at Hitachi Data Systems, to learn about the challenges Enterprises and Government Agencies face with their record keeping policies, including the impact of the EU’s General Data Protection Regulation (GDPR) and Australia’s new data breach notification laws.Bruton also explains how to inject greater data intelligence into your enterprise data strategy to allow organisations make better business decisions and introduce new capabilities around enterprise search and e-discovery. 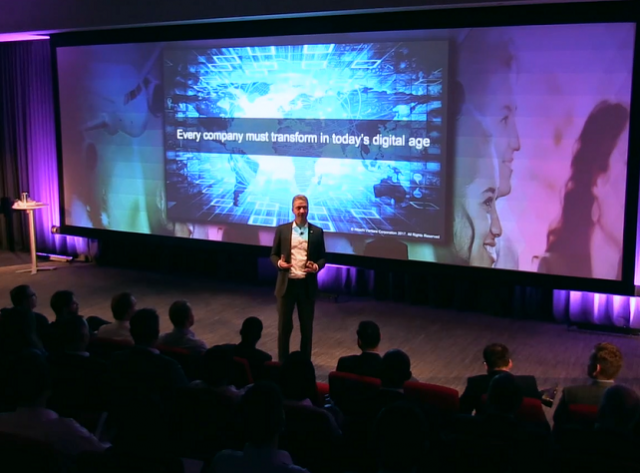 Digital transformation is the new imperative but easier said than done. 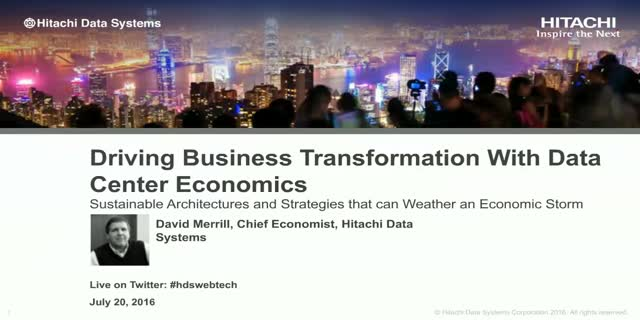 Watch this video as Hitachi Data Systems CTO for Asia Pacific, Russell Skingsley explains how to create business value with the right data foundation.Russell delves into the details of a successful enterprise data strategy that accelerates access, agility and value of your existing data, drawing on real world use cases of organisations that have achieved digital maturity around the world.You will also hear from Paul Bruton, Solutions Director, Content and Data Analytics about the emerging technologies for intelligent data discovery to improve workforce productivity and surface actionable business insights. With rapid data growth, VM sprawl and the ongoing diversification of applications make the challenges of data backup and recovery ever-increasing and ever-changing. It is sometimes difficult for businesses do the backups and recovery in time. 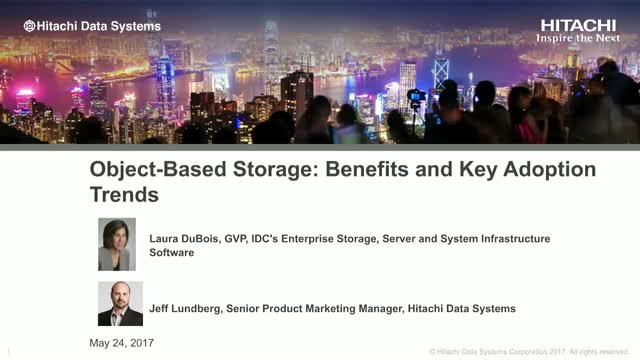 Watch the video to understand how HDS cloud-ready solution can help in Data protection, and leveraging DR as a service. Faced with a complex and heterogeneous infrastructure, even the normal storage management tasks, like performance forecasts, capacity management and SLA management, are complex, time-consuming and costly to be done. Continuous reliability is also challenging to maintain. 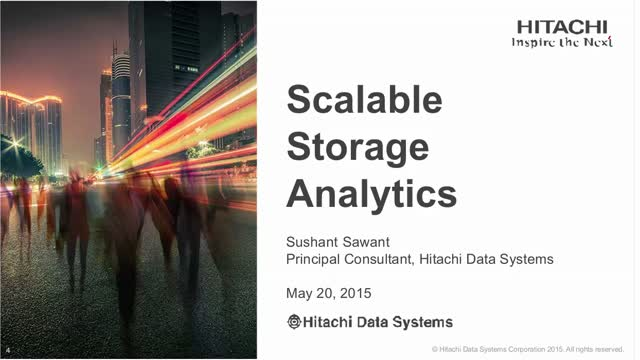 Concerning to the problem, HDS evolves its Analytic Driven Storage Management. Let’s watch the video to see how can we help! Although business continuity is mission critical, many organizations do only the bare minimum to prepare for it. That's because data protection is often expensive and complex. 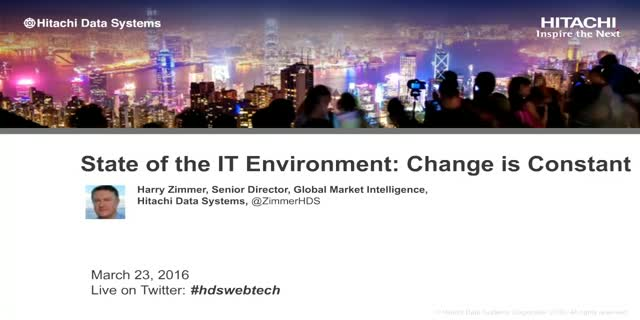 Watch the video to understand how HDS Hyperconverged Infrastructure can help. 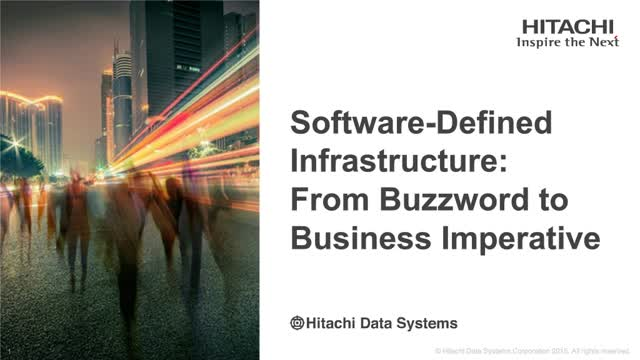 Go behind the buzzwords to learn how to focus software-defined planning efforts that will be relevant to your applications. Get insight into where a software-defined infrastructure can add maximum value to your operations by providing a better way to support new and legacy workloads. Learn how a software-defined infrastructure simplifies operations through automation, enables deeper insight via greater access to all types of data and provides greater agility by abstracting complex infrastructure components. 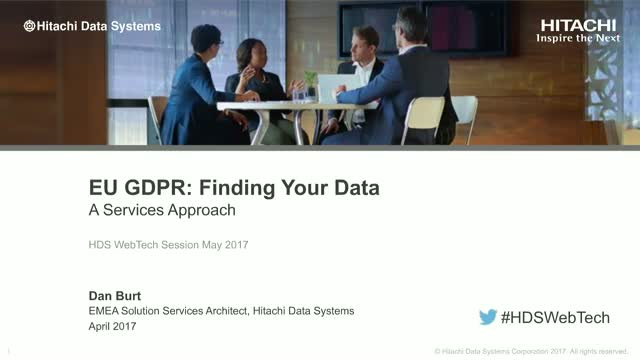 As the 'business issue' of GDPR draws ever closer, we discuss how Hitachi Data Systems can aid you through a portfolio of services and technology to manage this new compliance hurdle and manage your data.This webinar will focus on how to ascertain what data is relevant to be compliant and how you can most effectively find it in your current IT environment. Don't let the pressure to transform stress you out. 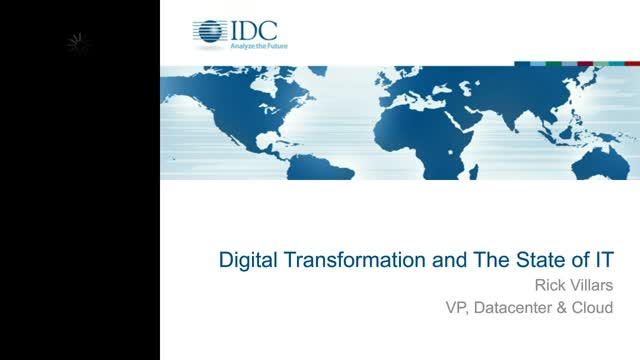 Learn how digital transformation can be achieved through technology and a strategy for data. IoT is more than a buzzword. It is a reality. In every industry, the volume of data that companies must manage, make accessible and analyze is not only already massive – it's expected to grow exponentially as interconnected devices and operational technology come online in the Internet of Things. 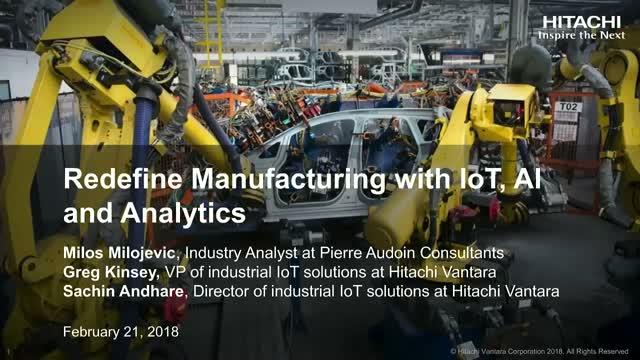 This session will cover the new IoT landscape, where HDS already sees information technology; operational technology and data management converge to drive insights and major business growth. Pravine Balkaran, Head of Global IT for Spin Master, will share how a partnership with Hitachi has enabled the business to grow and achieve a digital transformation.In this session, learn how the company faced the challenges of standardizing, automating and modernizing a legacy business to transform Spin Master from a small, single-product toy company into a leading global, diversified, multi-platform and highly innovative children's entertainment company. Don't get left behind. Get the insights you will need to make unprecedented business changes and meet the demands of a scaled-up, digitally transformed economy. Top executives worldwide have spoken, and the results are in. 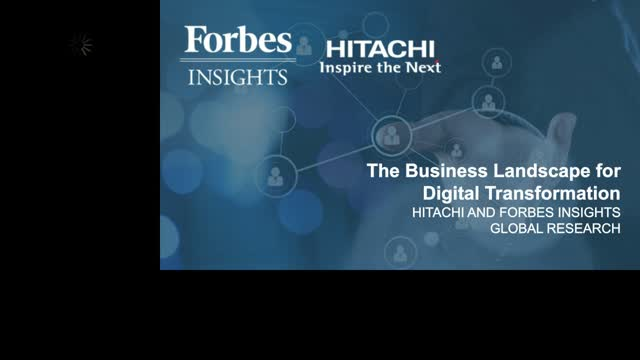 Through research gathered by Forbes Insights and Hitachi Data Systems, learn where companies stand in their digital maturity and the steps your company can take to get there, including different approaches based on geography and industry. EU GDPR: Hype? Cost? Or the opportunity to get more value out of your data? The General Data Protection Regulation (GDPR) is a new European regulation intended to protect all EU citizens from privacy and data breaches in an increasingly data-driven world and will become into force on May 25th, 2018. Often regulations and compliance just represent a huge cost to the business. In this webinar we will focus on how we can turn the cost to comply with regulations into a competitive advantage by turning data into a valuable asset to the business. 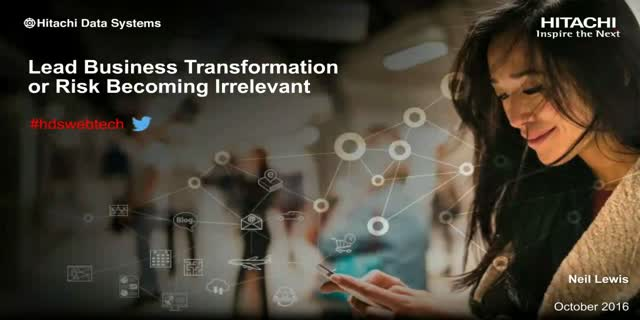 Join us to find out how the new Hitachi Enterprise Cloud Solution is providing new capabilities, tools and process enablement to support business digital transformation. 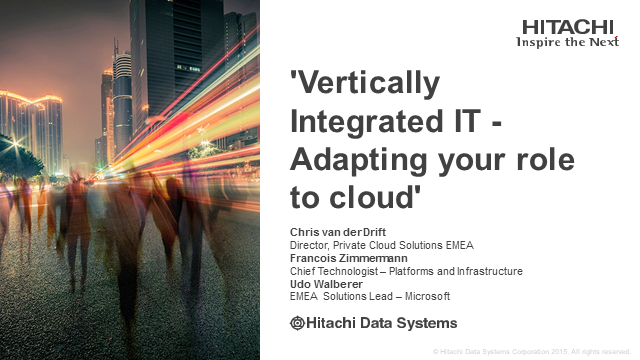 Hitachi Enterprise Cloud provides an agile, robust platform to deliver an Infrastructure as a Service (IaaS) hybrid cloud solution that underpins the digital transformation journey. 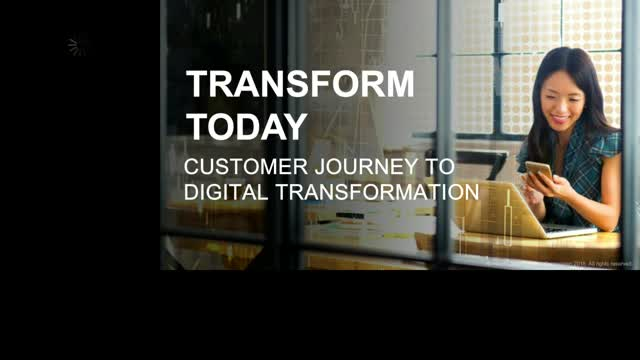 In this session you will see how Hitachi Enterprise Cloud is a key enabler to many key areas of any customers digital transformation strategy. Since the year 2000, 52% of fortune 500 companies no longer exist. Digital transformation is essential for organizations to survive and thrive in the digital economy. IT needs to transform into a digital enabler to create new revenue streams, improve operational efficiencies and drive superior customer experience. However, there is a growing gap between business expectations and IT's ability to execute in order to realize efficient economic transformation. A new approach is needed. Join us to find out how a Programmable Data Center is emerging as the IT foundation for digital transformation. Innovative technology companies that quickly capitalize on business opportunities and satisfy the demands of today’s empowered consumer have caused a wave of disruption. In 2016, businesses will turn to IT for solutions that will keep them competitive. Chief information officers will invest in faster delivery of applications and analytics, and transform IT by leveraging the third platform, social, mobile, analytics and cloud to reduce infrastructure expenses. 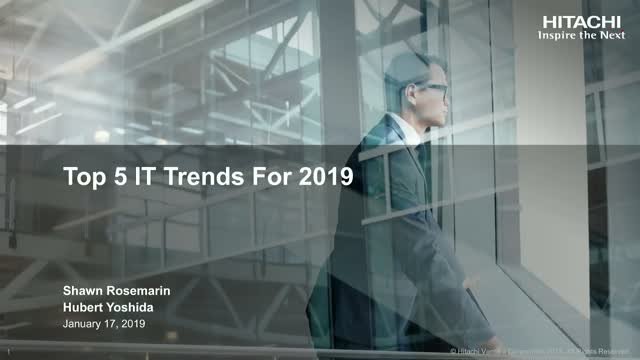 Learn how to avoid distractions and remain focused on the IT trends that matter in 2016, as well as gain the knowledge to help accelerate your IT transformation and success. •Reduce mean time to remediate IT outages in minutes, not hours. •Increase visibility across your entire IT infrastructure. •Turn big data into big business value. We live in a world where the successful management and analysis of data can drive tremendous competitive advantage. For many customers, achieving this competitive advantage means embracing cloud technologies with the hope that they can adapt to changing data and business expectations over time. But not all clouds are created equal – nor are they all ready for a data-driven world or in tune with you. Choosing the right cloud today that is designed and ready to meet the business needs of tomorrow is critical to success.Attend this webinar to hear our view on how to choose the right cloud for a data-driven world and ready your business for competitive advantage.Not all clouds are created equal – nor are they all ready for a data-driven world or in tune with you. Learn where you’ll succeed. 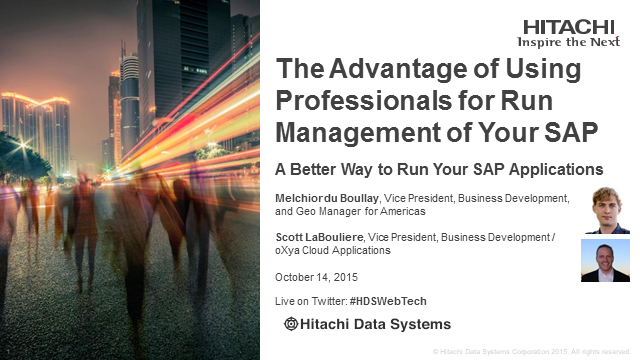 •Reduce exposure to business risk from disruptions to your SAP environment. 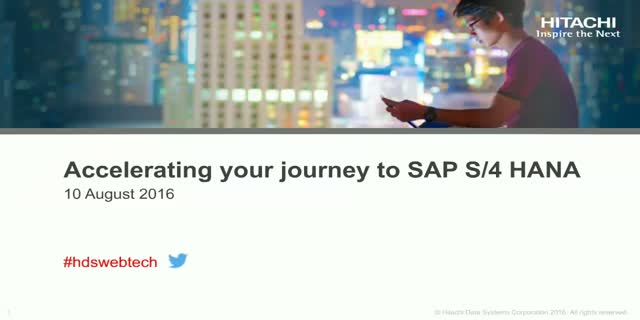 •Accelerate your SAP migration, upgrade or expansion projects, such as migrating to the SAP HANA platform. •Increase the service levels you deliver to the business, while reducing capital expenditure. •Custom, embeddable, analyticsJoin our webinar, and gain a head start with the $99k Big Data Development Package, available exclusively for HDS customers for a limited time. •Access more data for business insight. •Abstract to stamp out complexity and gain agility. 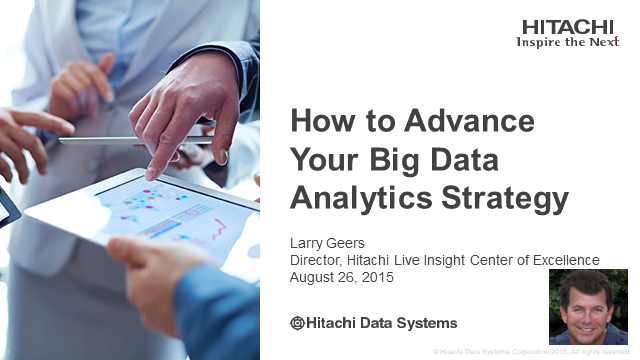 •Start planning a comprehensive big data strategy. •Gain consensus for your analytics initiatives. •Move forward with your Social Innovation solutions. • The top cloud storage challenges and concerns of enterprise IT decision-makers. 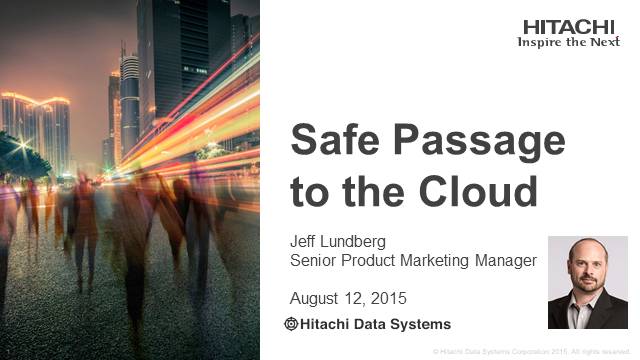 • How to avoid roadblocks and reduce risk on your way to the cloud. 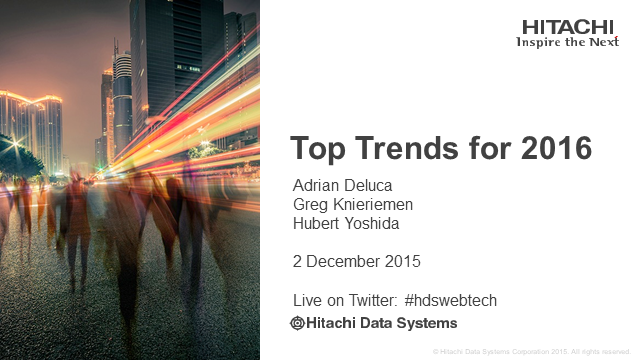 • Ways that Hitachi Data Systems can help. 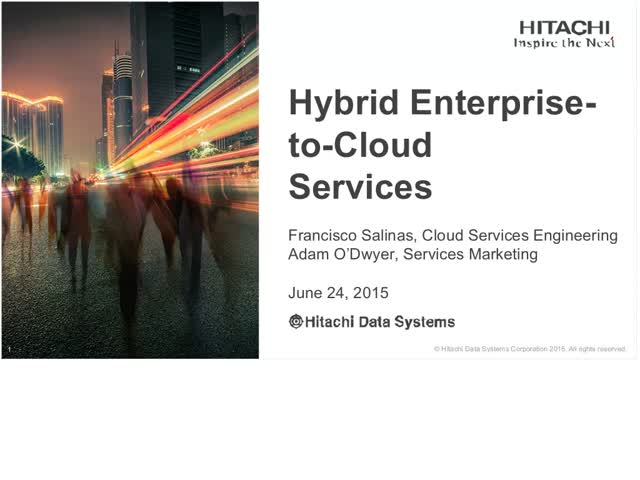 •Move to a hybrid cloud solution to take advantage of the features and value of an enterprise cloud model. 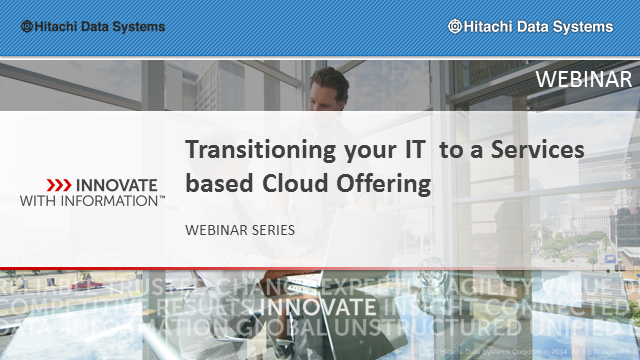 •Transform your cost structure from a capital expenditure model to a more beneficial operating expenditure model for your cloud storage solution, and learn how this adjustment benefited PhotoBucket, Inc.
•Navigate through the range of cloud options and make the right choice when selecting your hybrid cloud solution. •Build a scalable and flexible data repository for your storage analytic needs. •Collect highly granular performance statistics. •Report on storage performance trends that span multiple years. 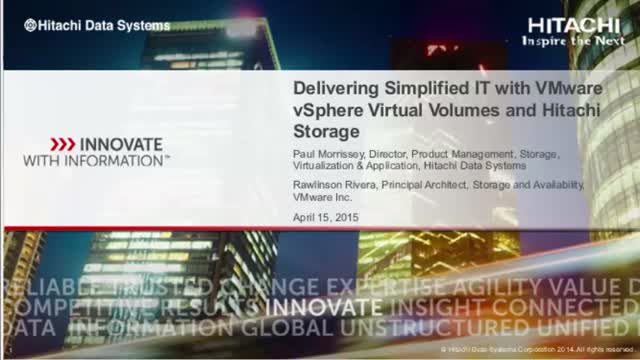 •Simplify storage and VM administrative operations. •Manage VM growth and drive greater data center efficiency with policy-based management. •Deliver a zero worry, continuously available private/public cloud with rich data services. 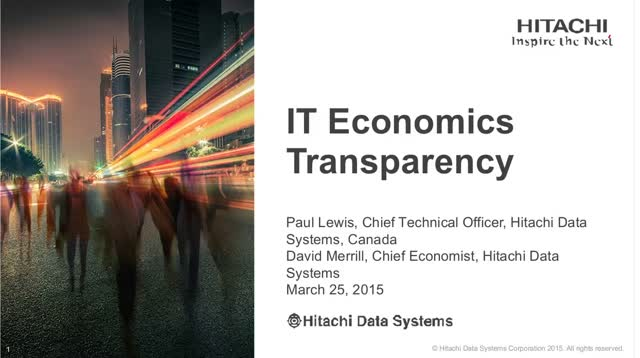 •Understand what a CIO requires to know the true costs of IT. •Communicate with lines of business about internal and external IT delivery and service options. •Not be seduced by low prices (software as a service, platform as a service) and to communicate and measure total costs of IT. •Identify, measure and set plans to reduce IT costs. •The global trends shaping technology and business. •The potential impact of the Internet of Things. •Your readiness for the future of business. 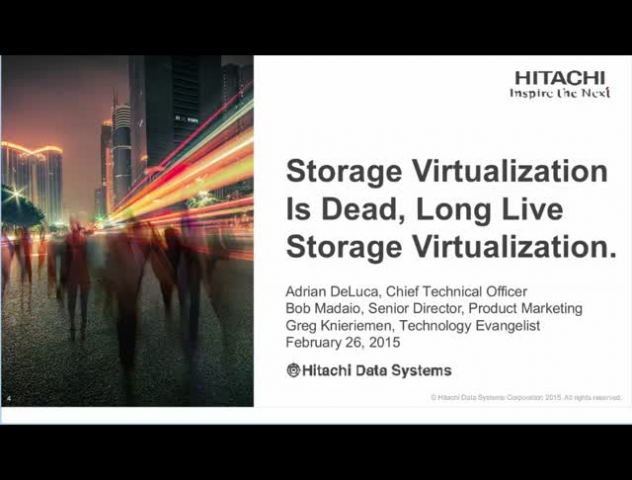 •Learn how storage virtualization has evolved into the cloud era. 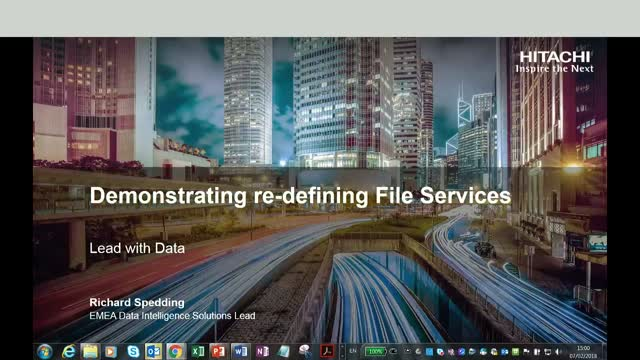 •Understand how automation has been enhanced to provide storage as a service. 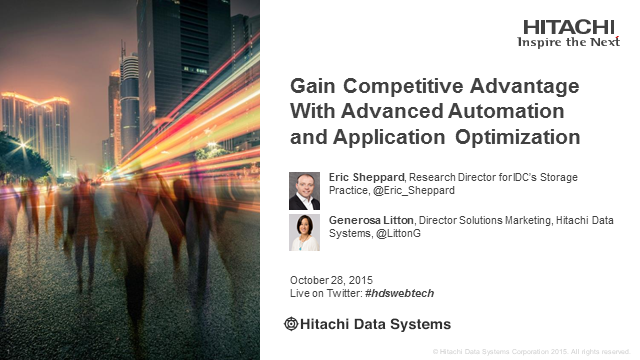 •Learn how you can leverage the latest Hitachi enhancements and solutions. •About the integration of Command Suite and Storage Navigator functions. •How to understand the navigational nuances. •About the enhanced integration features that include task operations, integrated functions, system GUI navigation, auto synchronization of tasks to storage systems, and more. The world of storage is changing. High performance applications like databases, typically structured data, will require flash storage whereas File Services and new Cloud applications will need low cost, scalable object storage solutions. Sharing data today is more than just file shares. Accessing data any time, from any location, on any device is the new mantra requiring high availability of data in an Always-On IT infrastructure. Smart data management and data protection will need to be simplified, automated and integrated to drive down costs while optimising the value of data to meet the new demands of the changing world of storage. Attend this session and learn how IT organizations are modernizing their core infrastructure through software-defined and flash technologies for a more agile, real-time business. Understand how the introduction of new technologies will accelerate IT modernization while customers discuss the resulting business impact of a faster, flexible IT infrastructure. Organisations worldwide rely on Oracle databases and applications to support their business objectives. 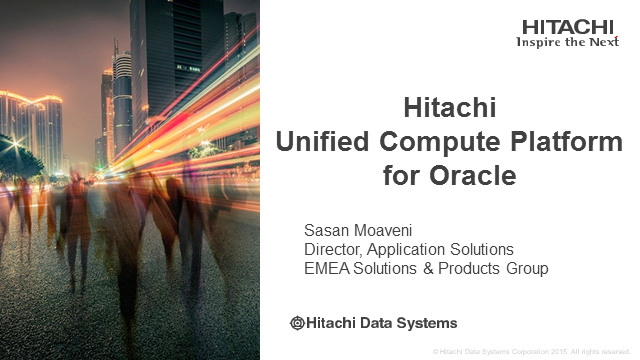 Learn how the Hitachi Unified Compute Platform (UCP) for Oracle Database solution can help you Lower TCO and meets your Oracle Performance, Resilience and growth objectives. Hitachi are committed to helping companies maximise their SAP investments whilst accelerating innovation & business breakthroughs. 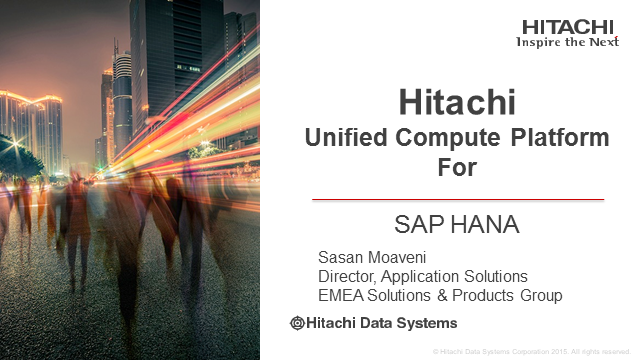 Learn how the Hitachi Unified Compute Platform (UCP) for SAP HANA solution can help you realize non-disruptive growth & investment protection to support your evolving business needs. Bob Plumridge, CTO EMEA, HDS; Nick Laurence Marketing Director EMEA, HDS. The Evolution of Converged Infrastructure. Converged infrastructure solutions are evolving rapidly. While first-generation converged solutions were focused mainly on offering superior time to production, the new generation of solutions also focuses on offering significant improvements in operating value. They provide faster mean time to resolution, simpler and faster ways to provision and increment resources, and a higher degree of automation in areas such as systems management (for instance, automated firmware upgrades). Chris Van Der Drift, Fracois Zimmerman, Udo Walberer. Companies that are serious about moving to on-demand, service-led delivery recognise that they need to change from horizontally organised IT to vertically aligned IT. This has a huge impact on the day-to-day role of domain architects and enables them to move from a tactical to a strategic role. For example, instead of executing repetitive low-level provisioning tasks they now define policies and resource pools and manage service classes so that infrastructure can be consumed on-demand from a cloud management portal. 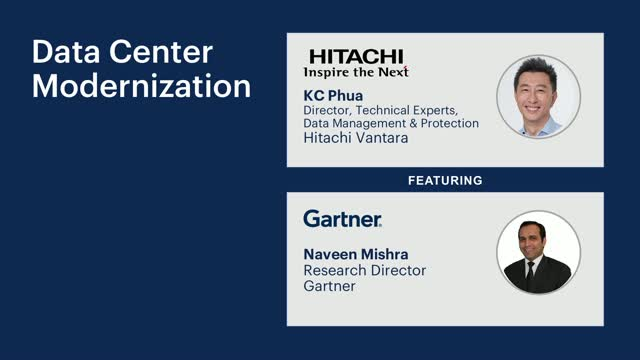 In order to support this transition we need new management tools that can accelerate time to market and eliminate the operational handoffs between domain architects for hypervisor, server, network and storage layers.Join this discussion with the Hitachi Private Cloud team who can share how Hitachi can guide you through this transition as you adapt your role and remain relevant in the world of cloud. Businesses are wondering how to secure data across a diverse and dynamic IT landscape. A content mobility platform can help your business to improve agility to support business goals. It can mobilize data across devices, locations and cloud services, while retaining control and visibility. 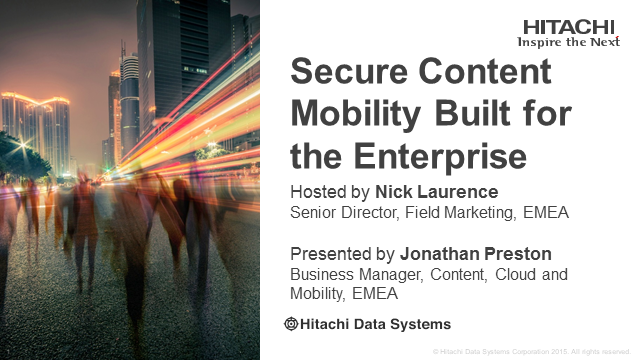 Learn how to manage an increasingly mobile workforce and develop an integrated content mobility strategy for your business needs. a comprehensive view of the options to move the whole Data Center , or dedicated stacks, and examine the cost drivers and risk avoidance strategies behind such transformation. The meeting wants to address critical business pressures such as Service level transformation, Capex, Opex, and Compliance. 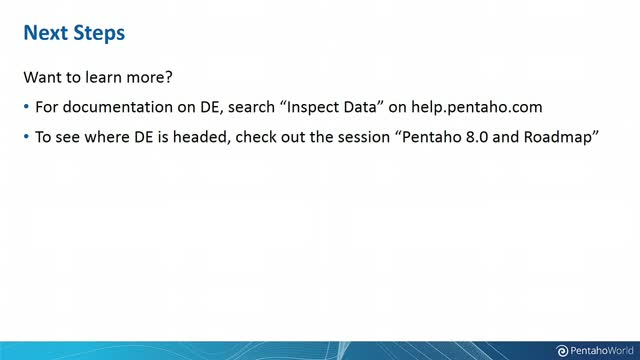 Learn about the latest features and capabilities that were introduced in Pentaho 7.1. Watch a live demo of adaptive execution on Spark and Visual Data Exploration. 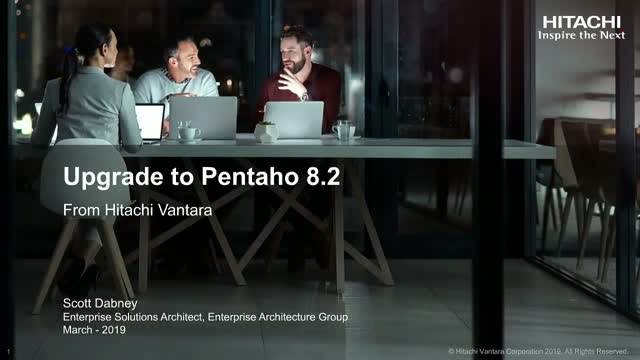 Also, learn how to upgrade to Pentaho 7.1 and what resources are available for your continued support. Working with big data is hard, but finding talent to work with Spark and other big data technologies is even harder. 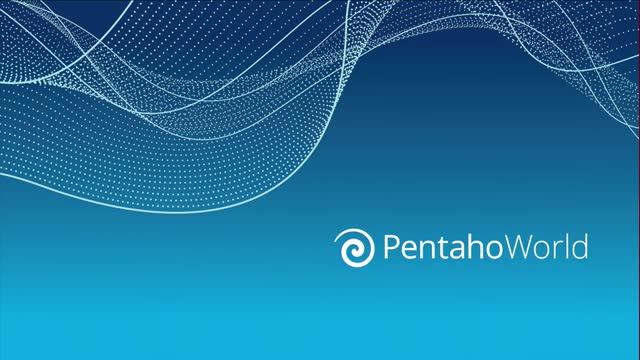 With the first ever adaptive execution layer, Pentaho 7.1 makes big data developers 2x more productive and makes Spark more accessible to non-developers.